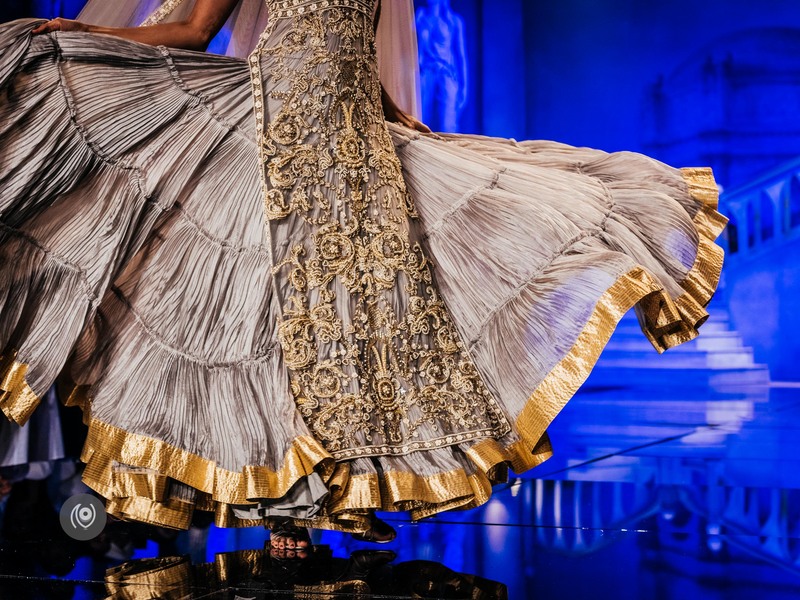 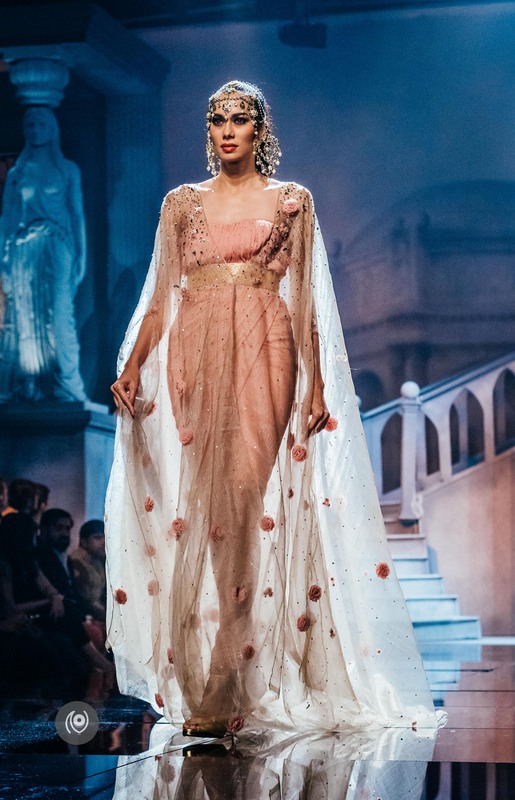 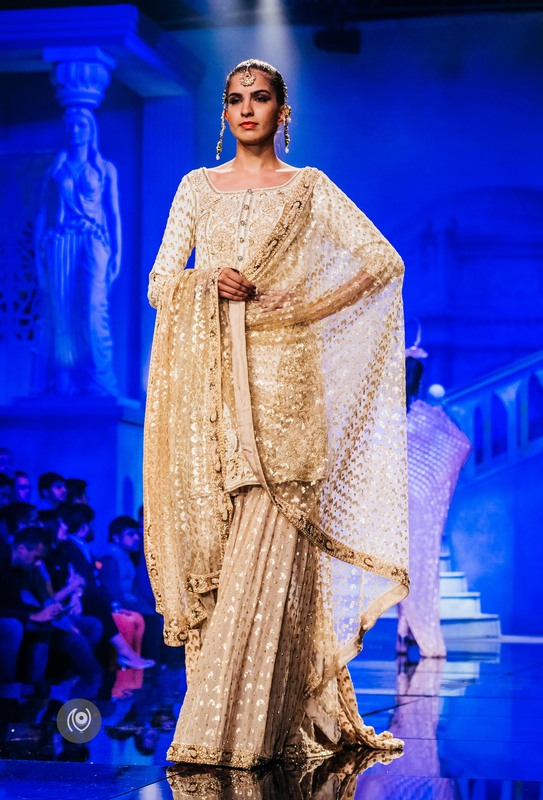 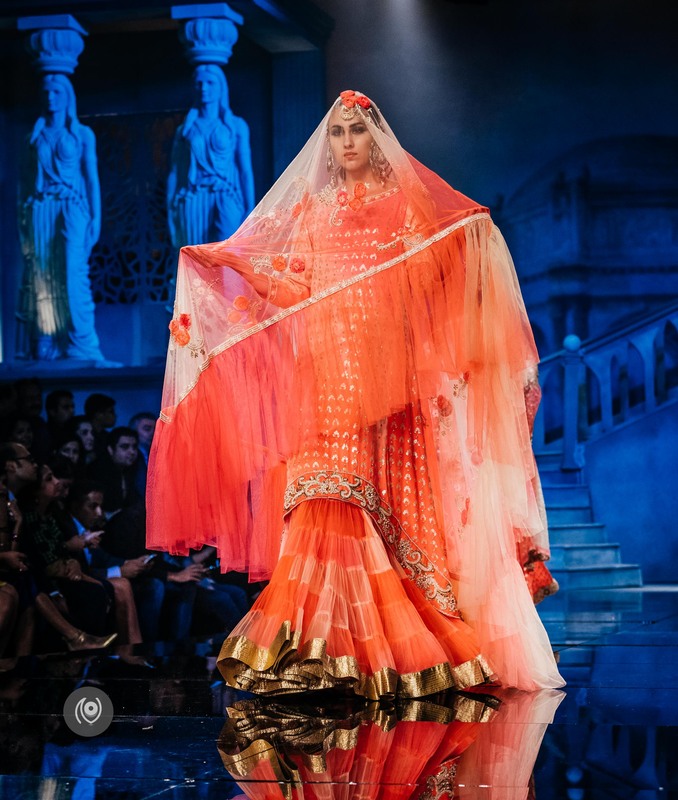 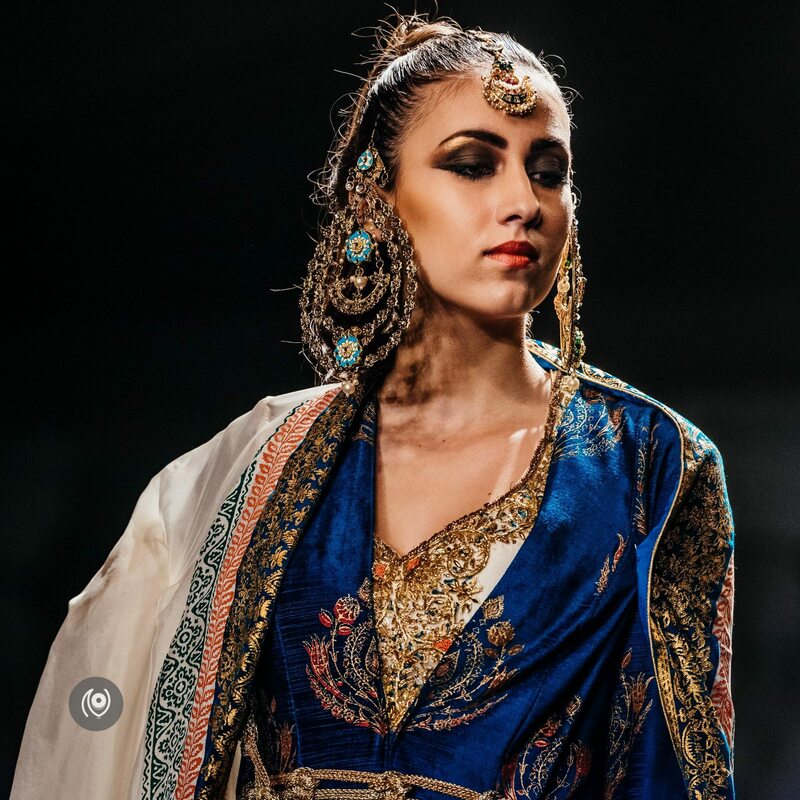 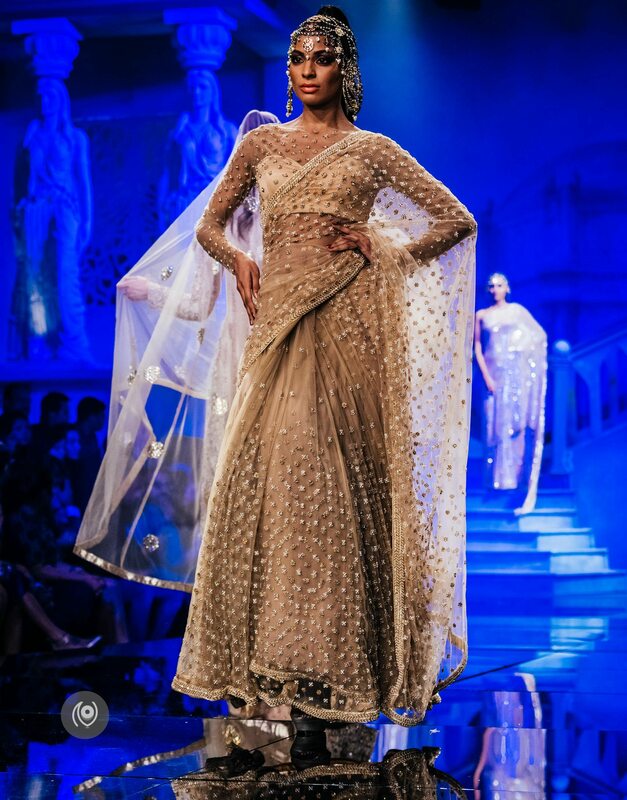 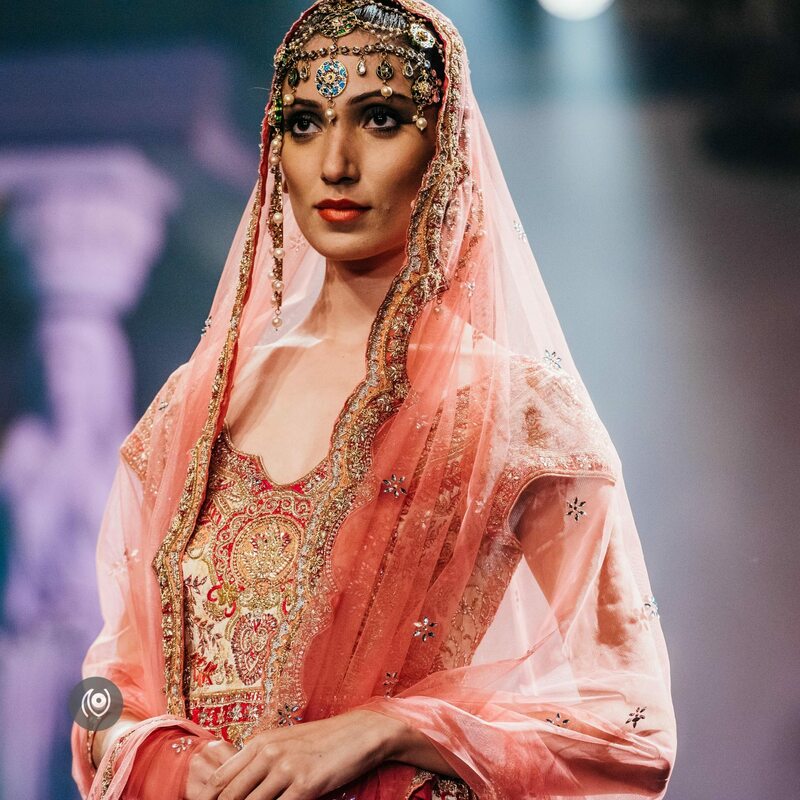 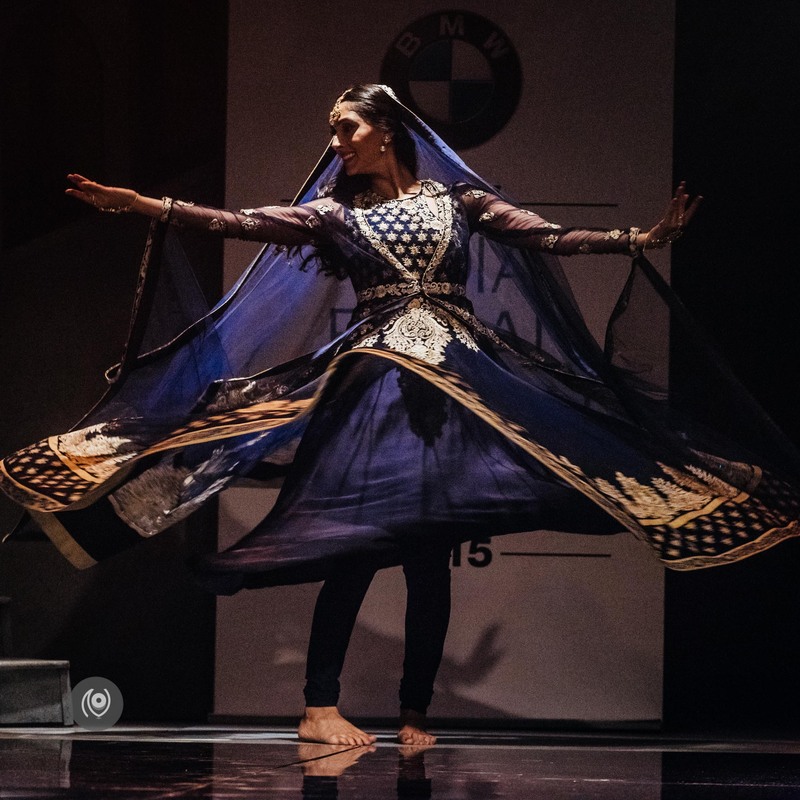 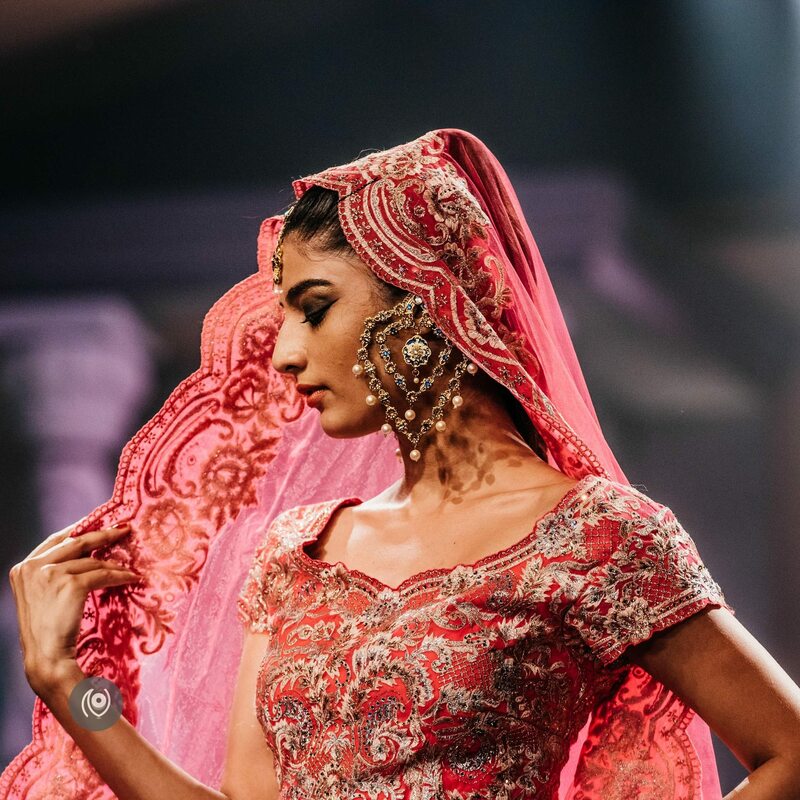 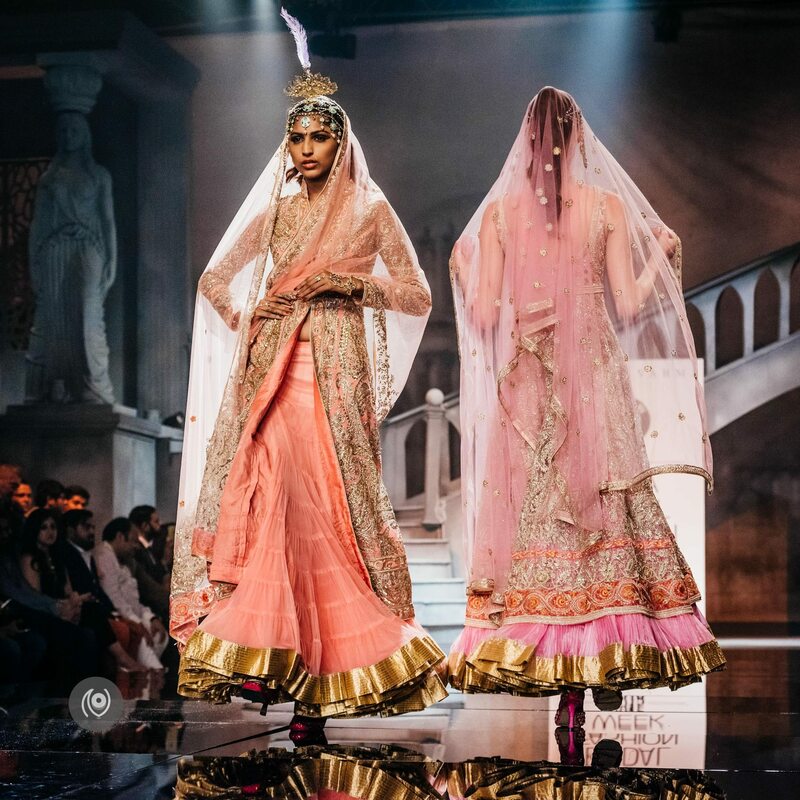 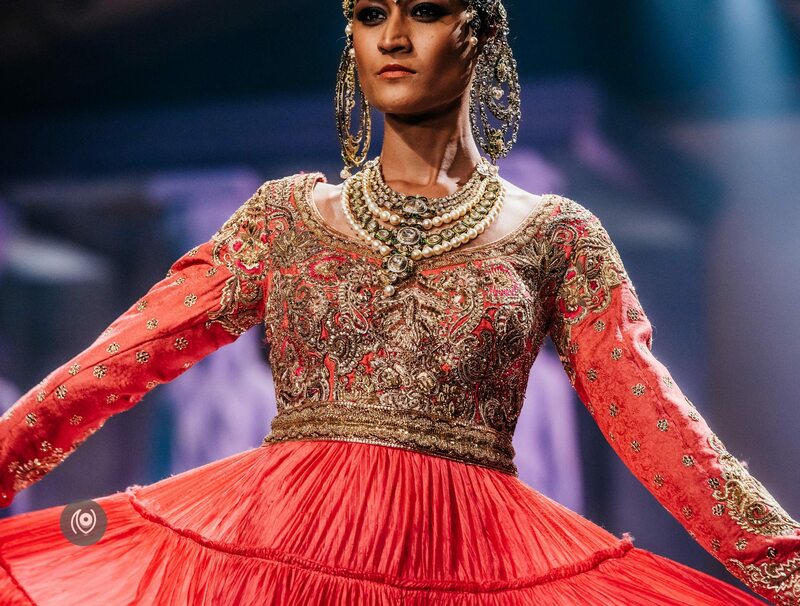 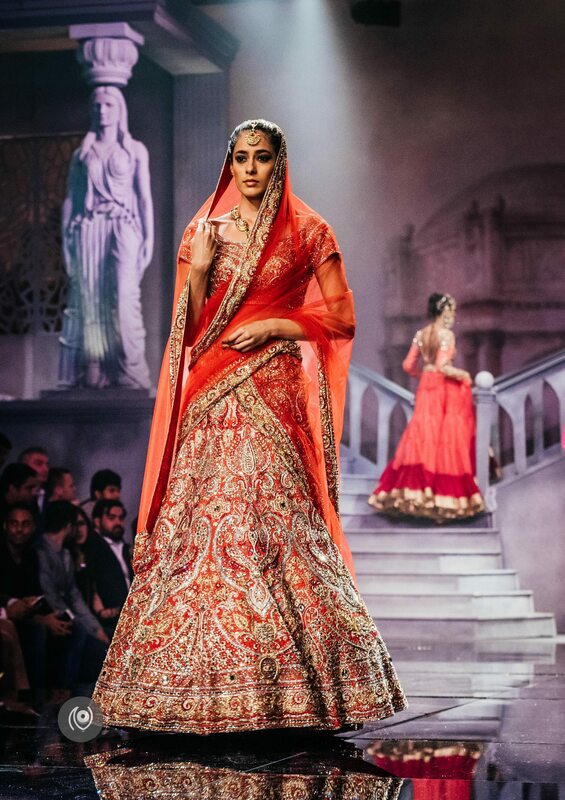 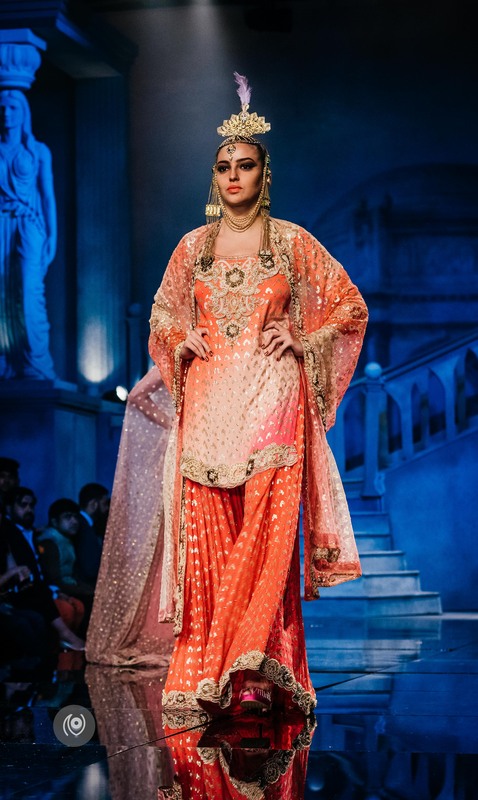 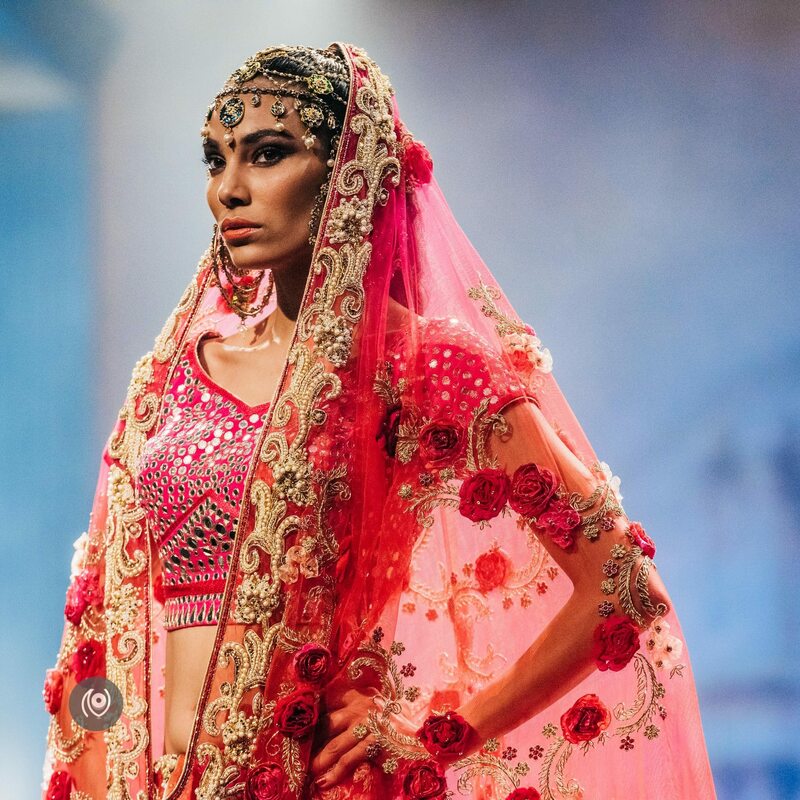 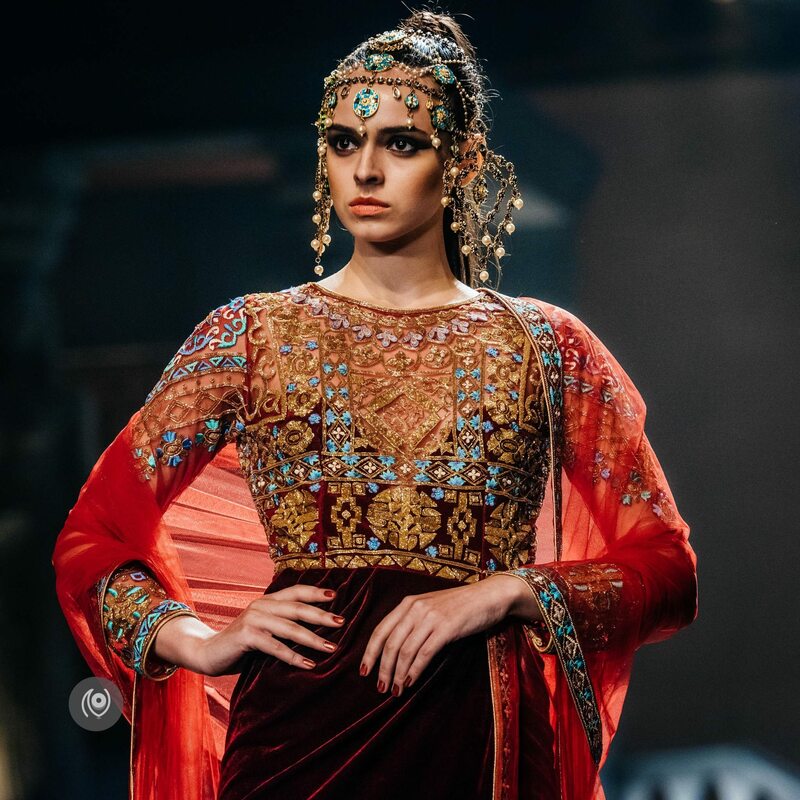 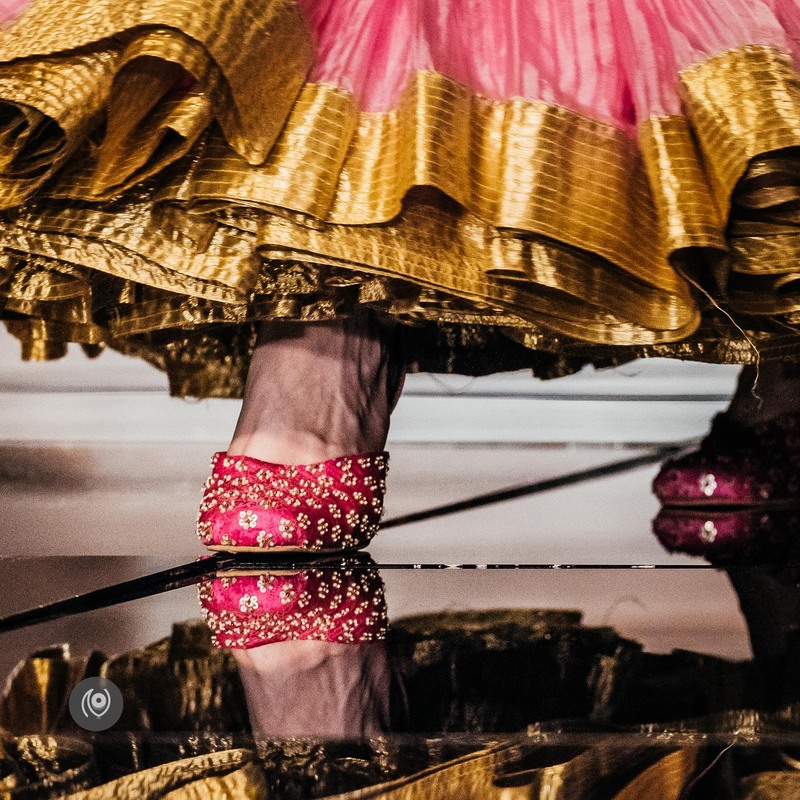 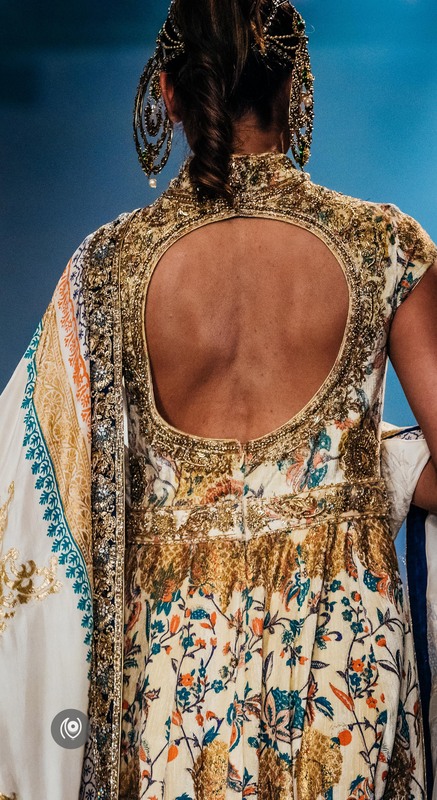 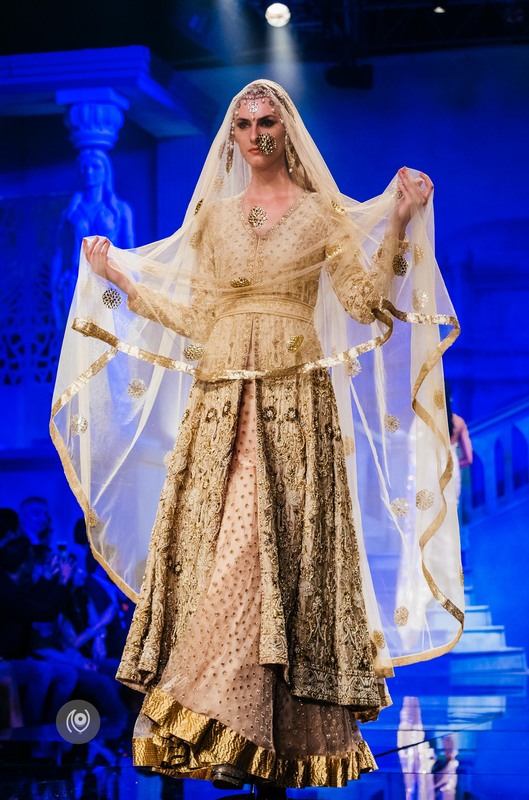 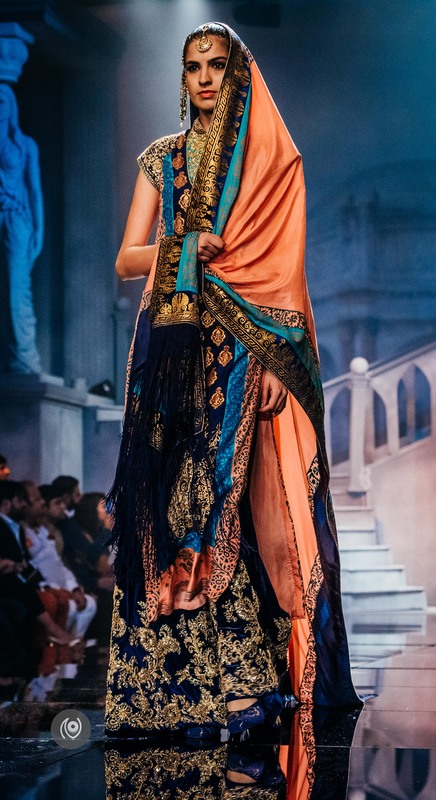 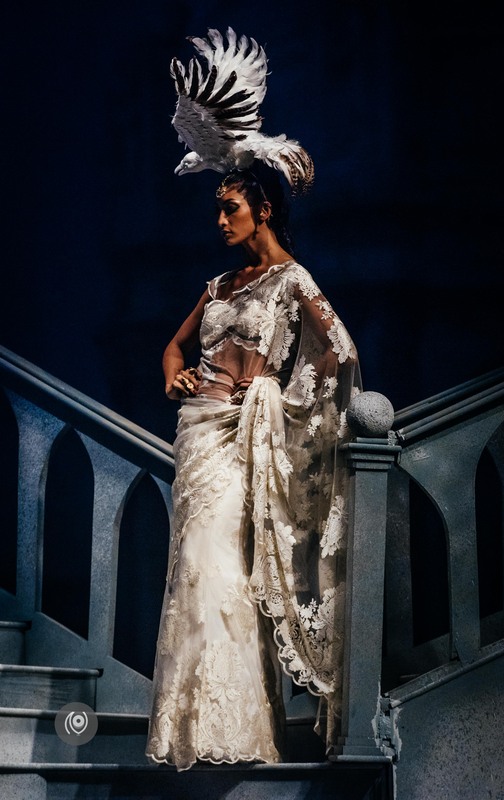 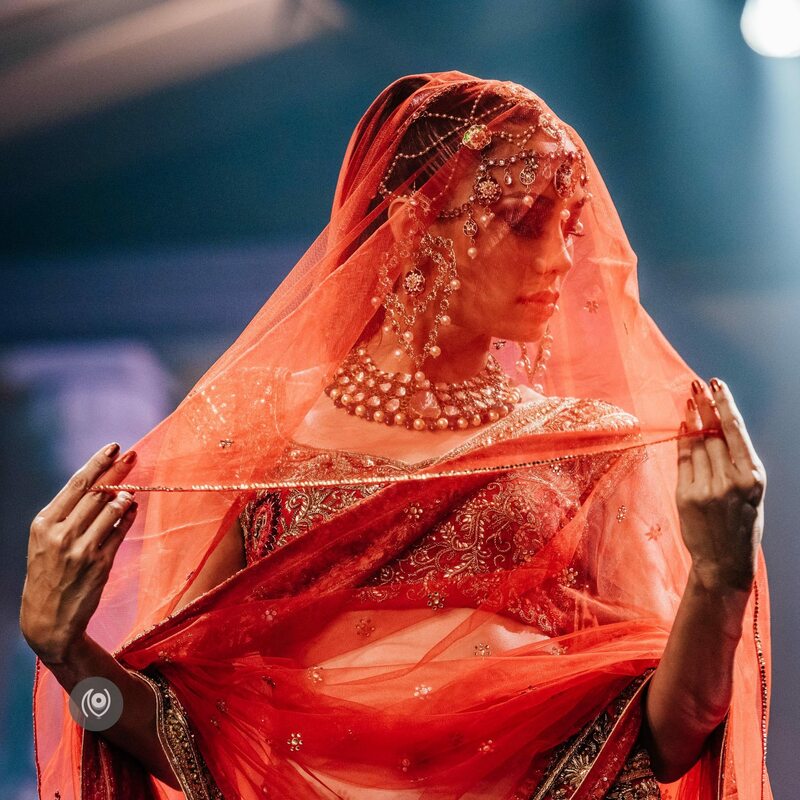 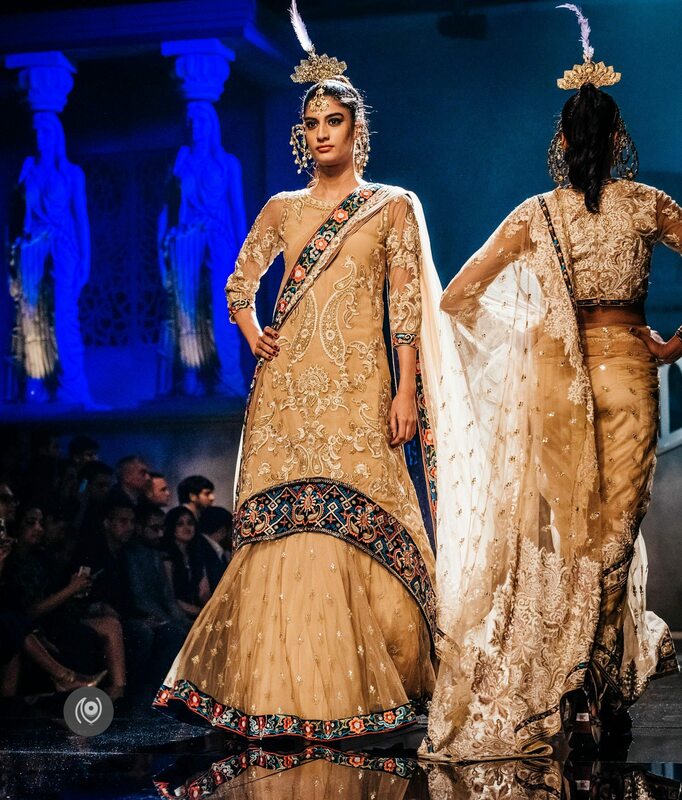 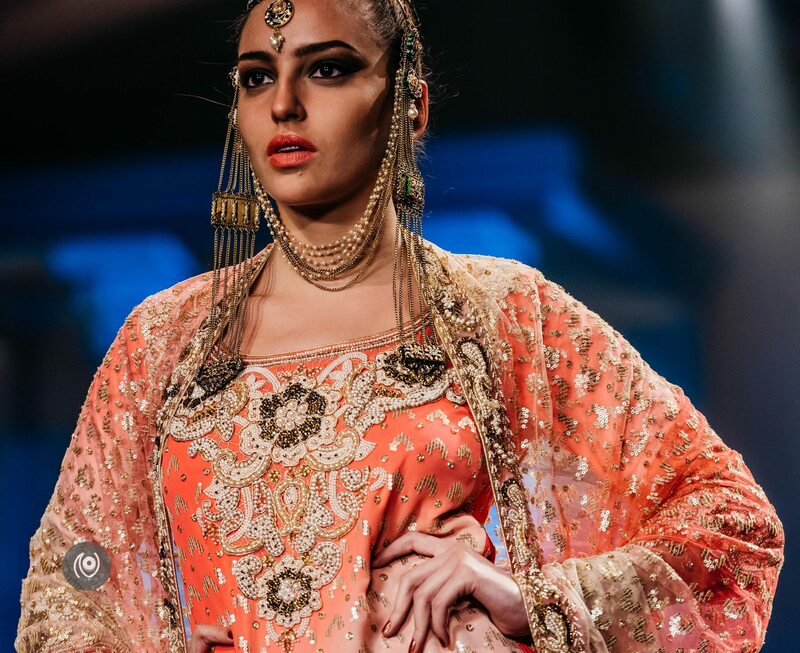 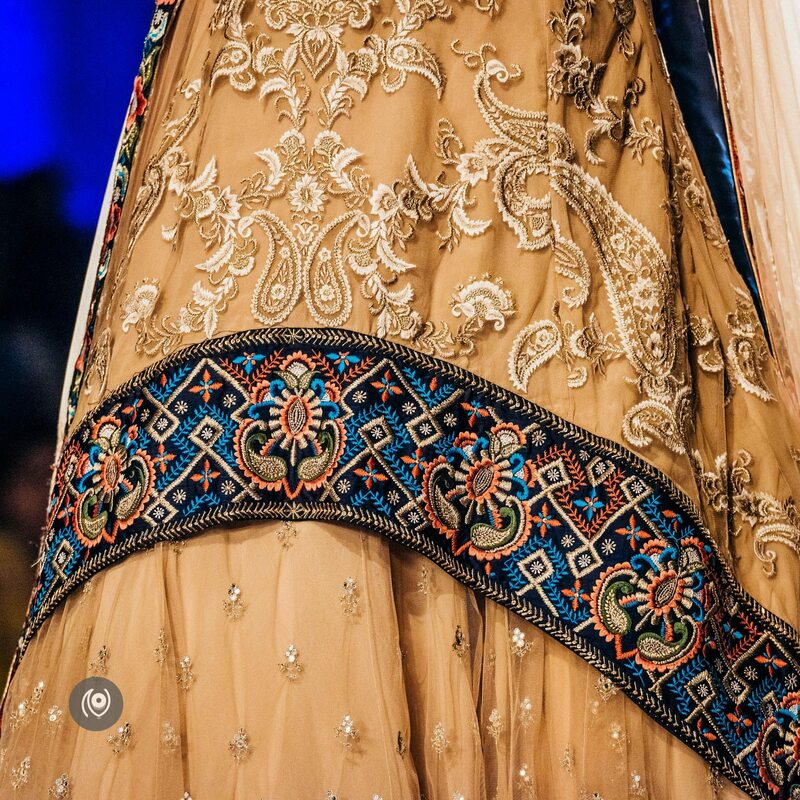 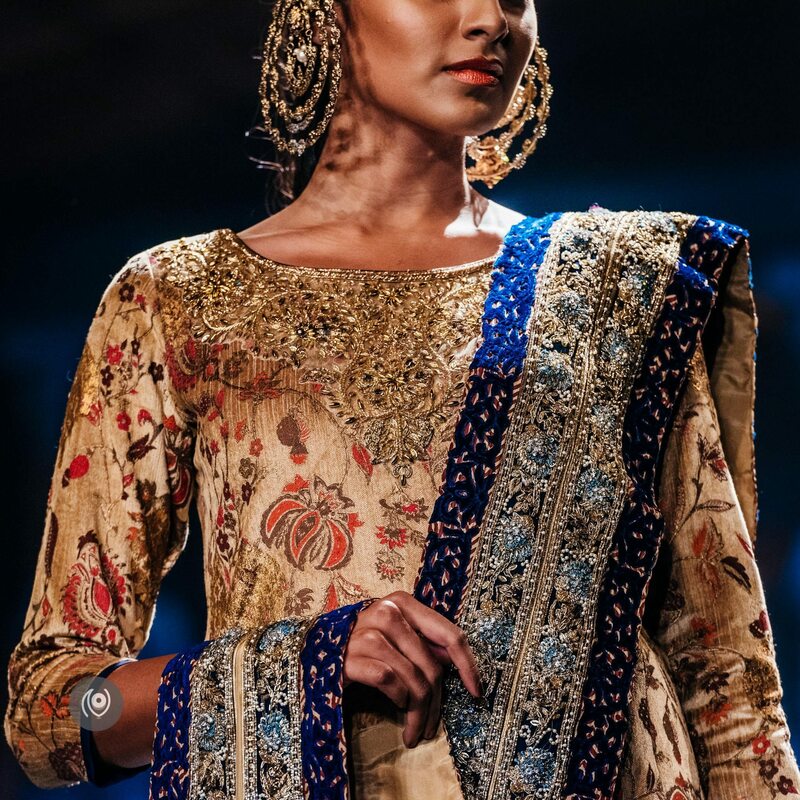 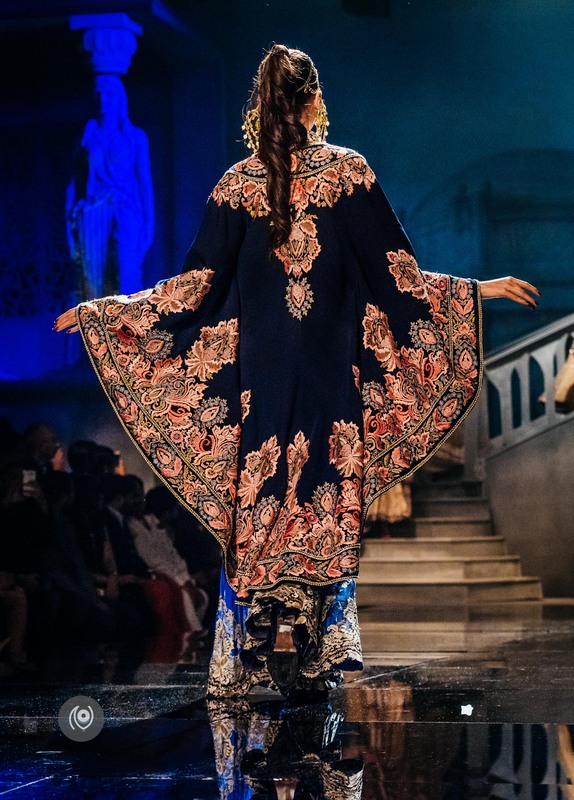 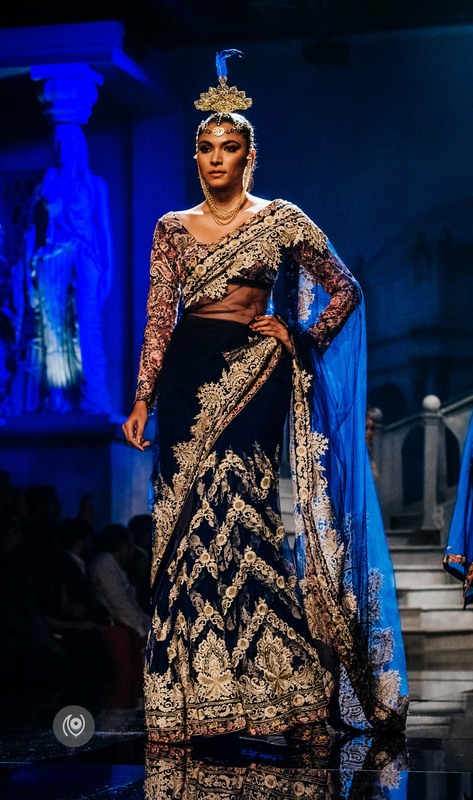 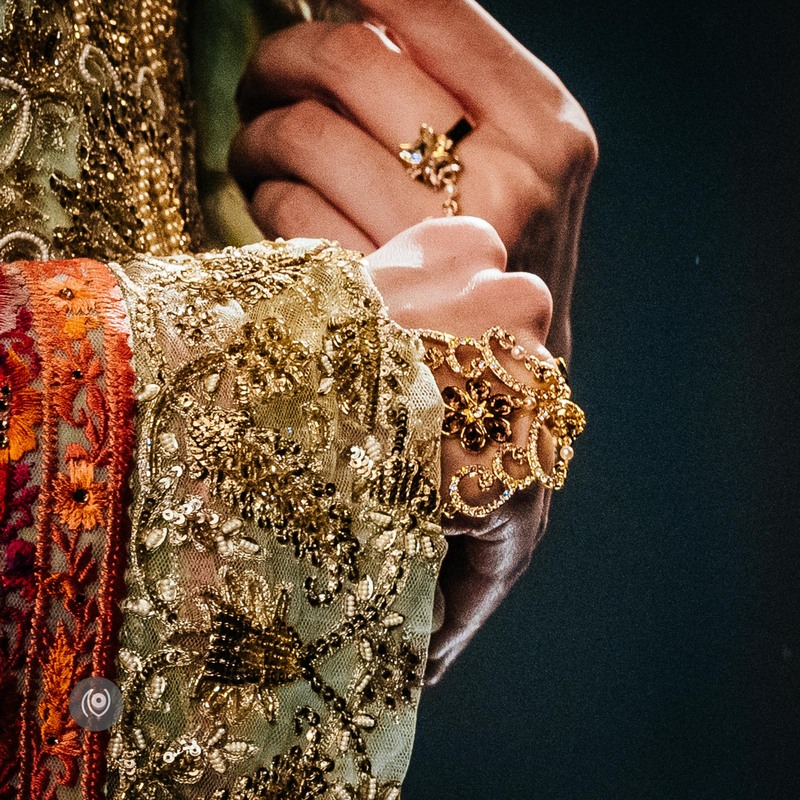 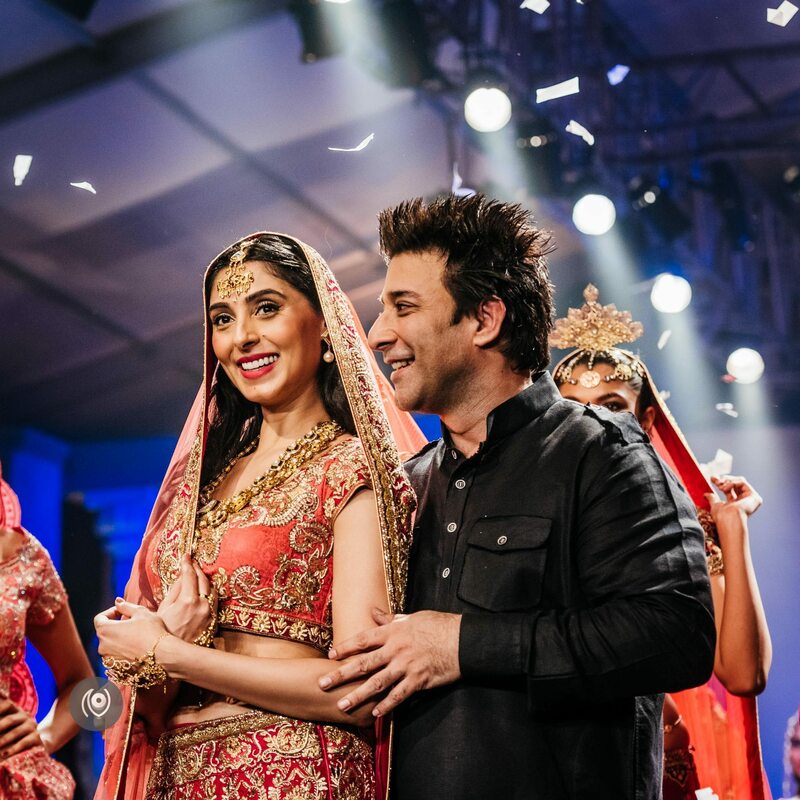 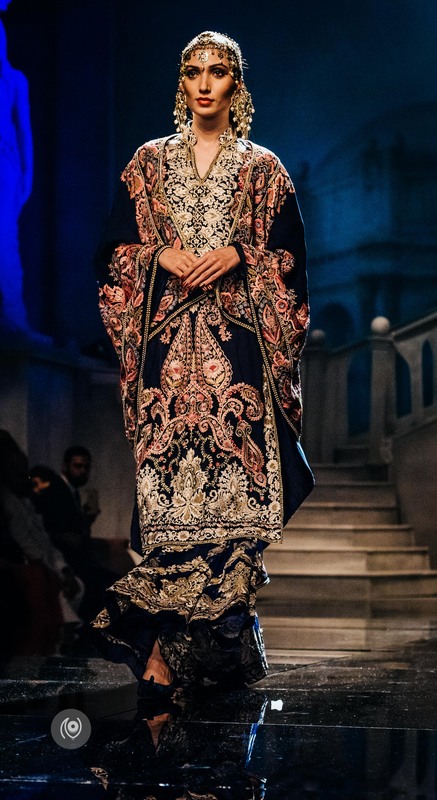 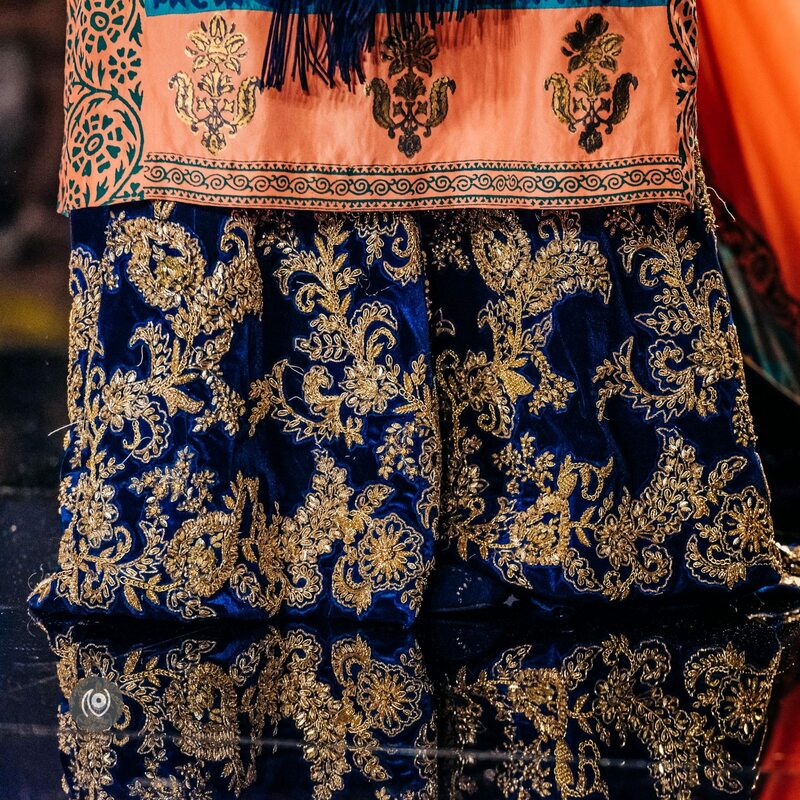 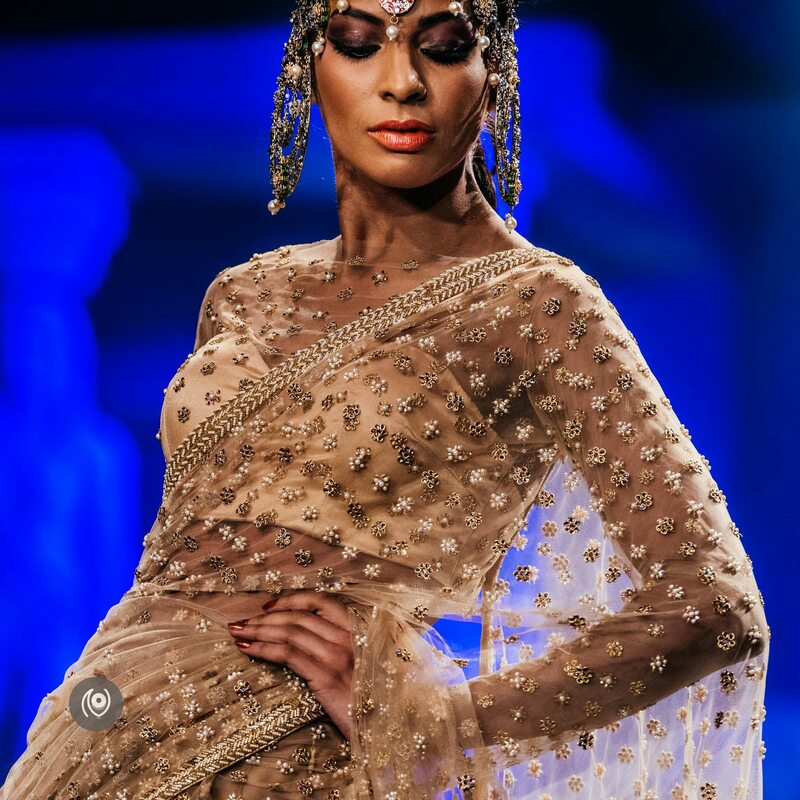 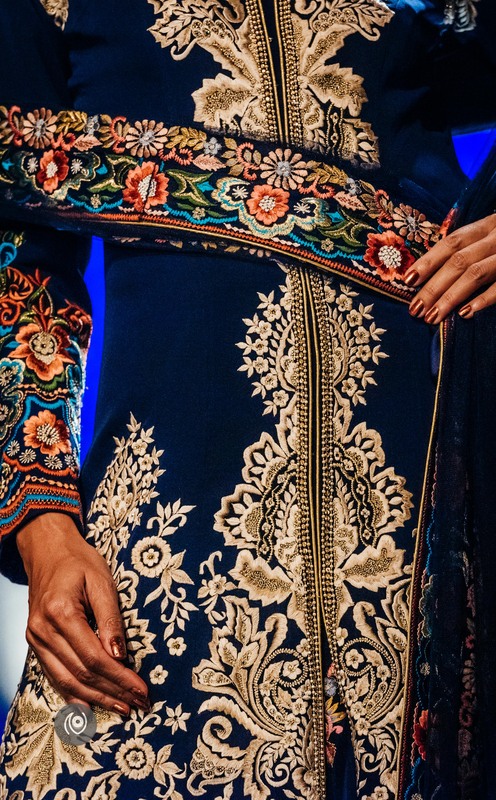 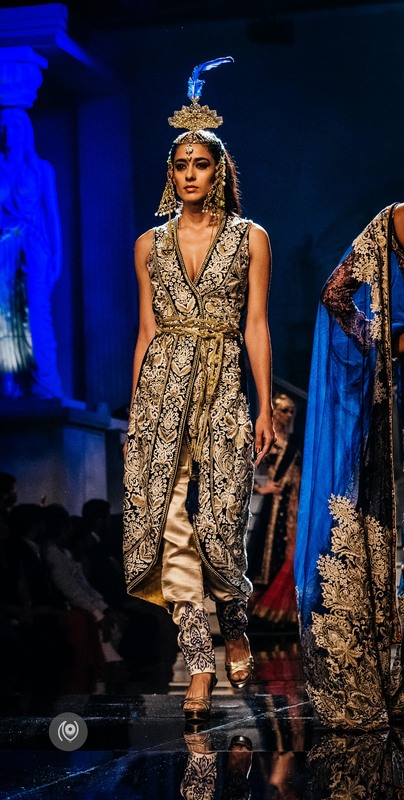 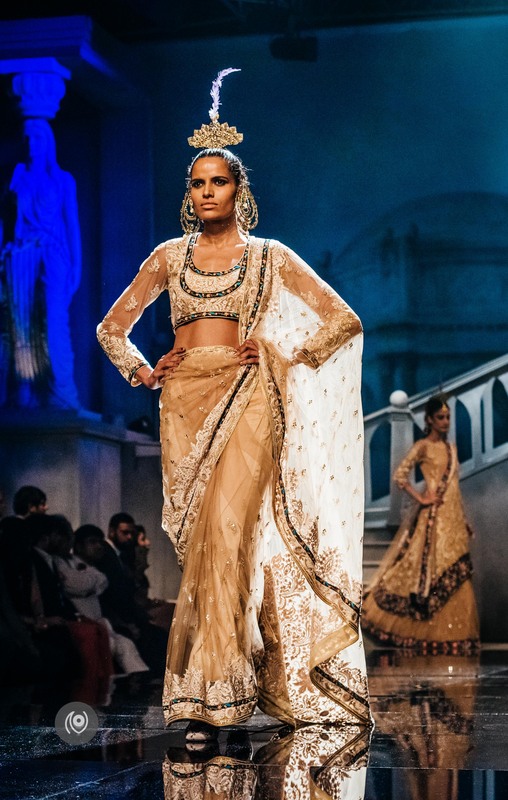 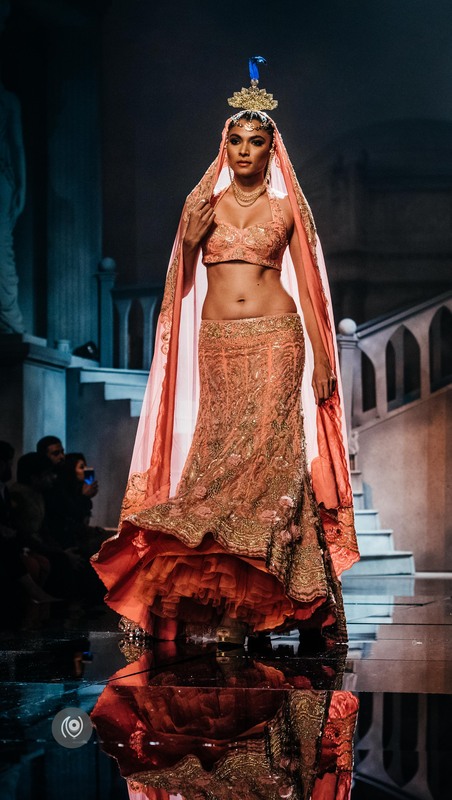 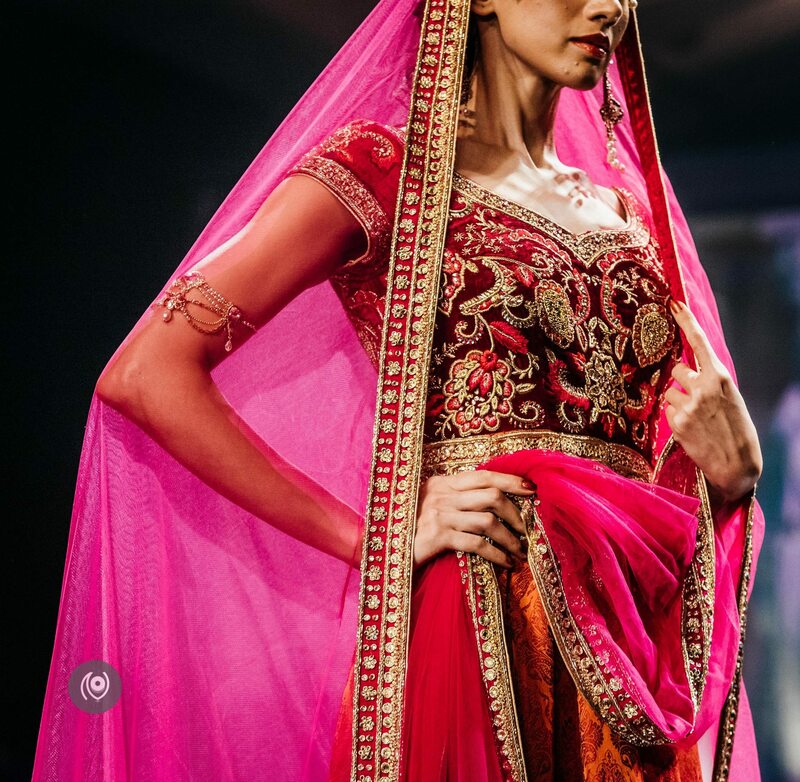 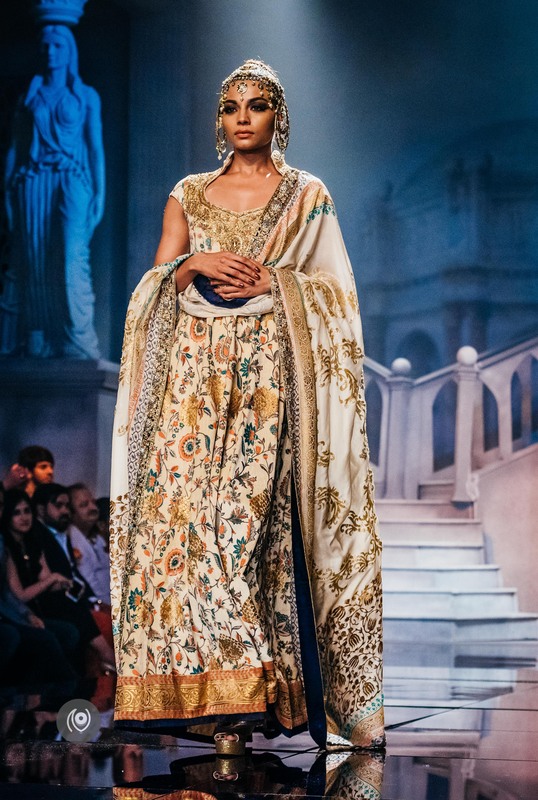 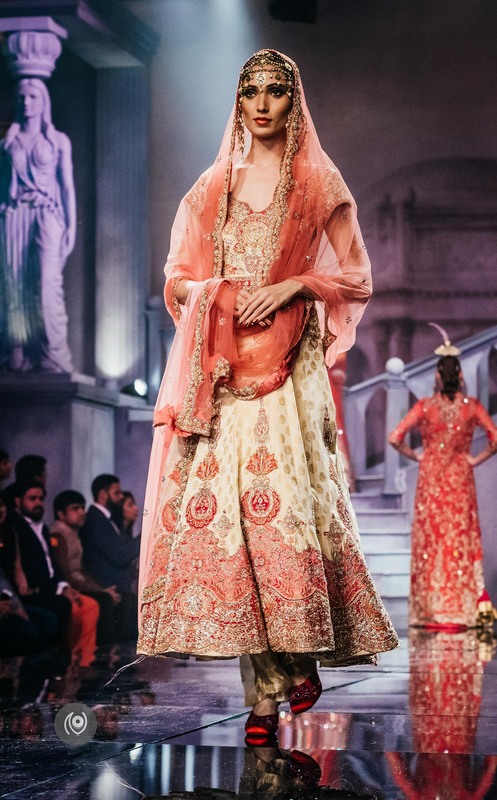 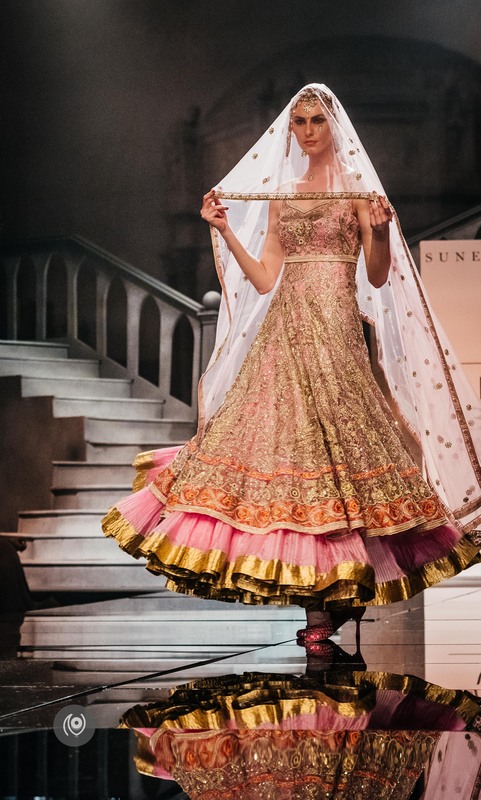 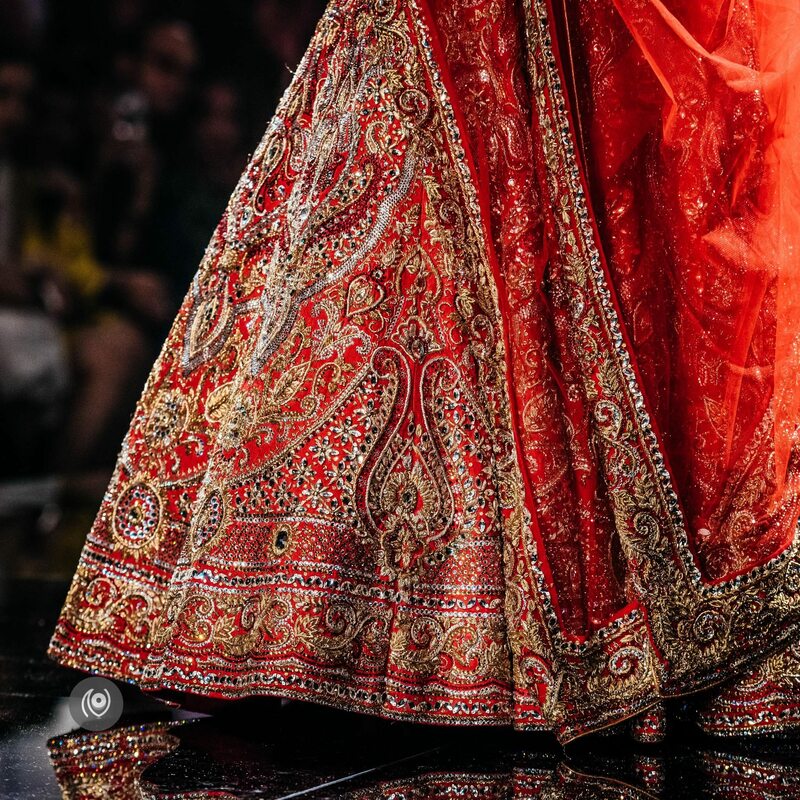 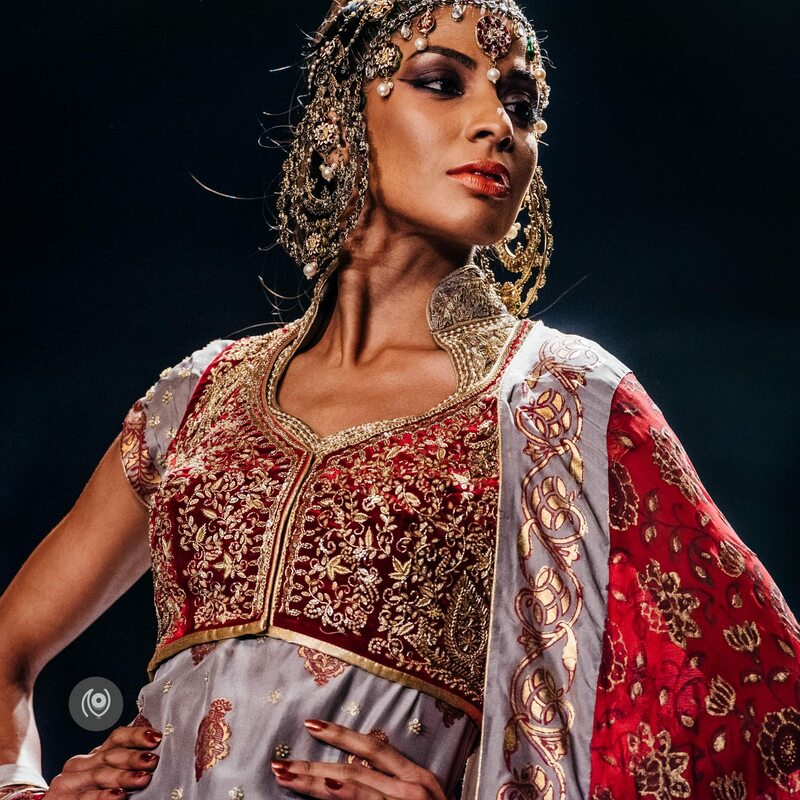 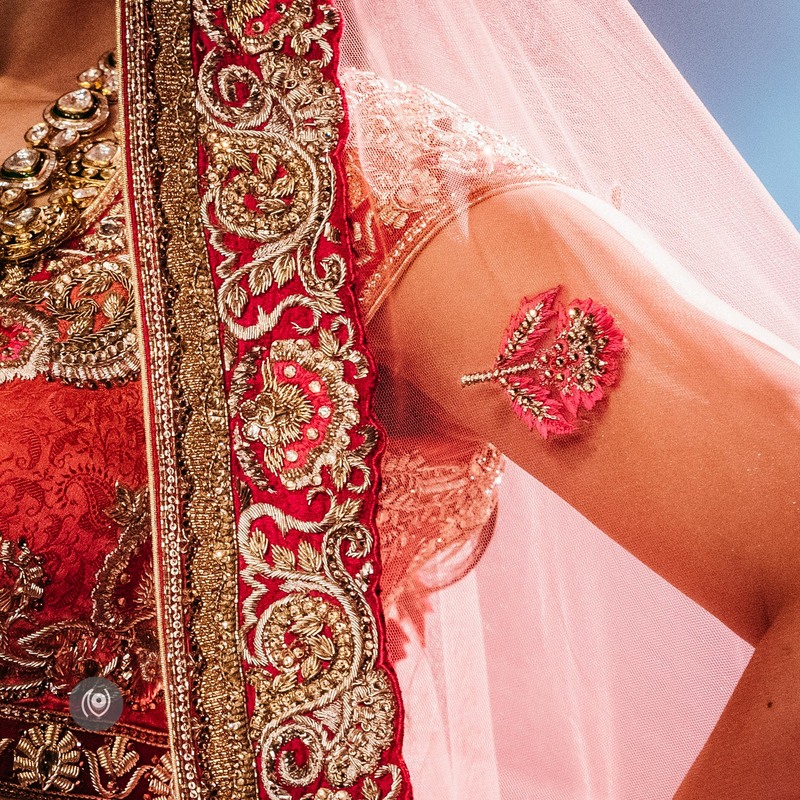 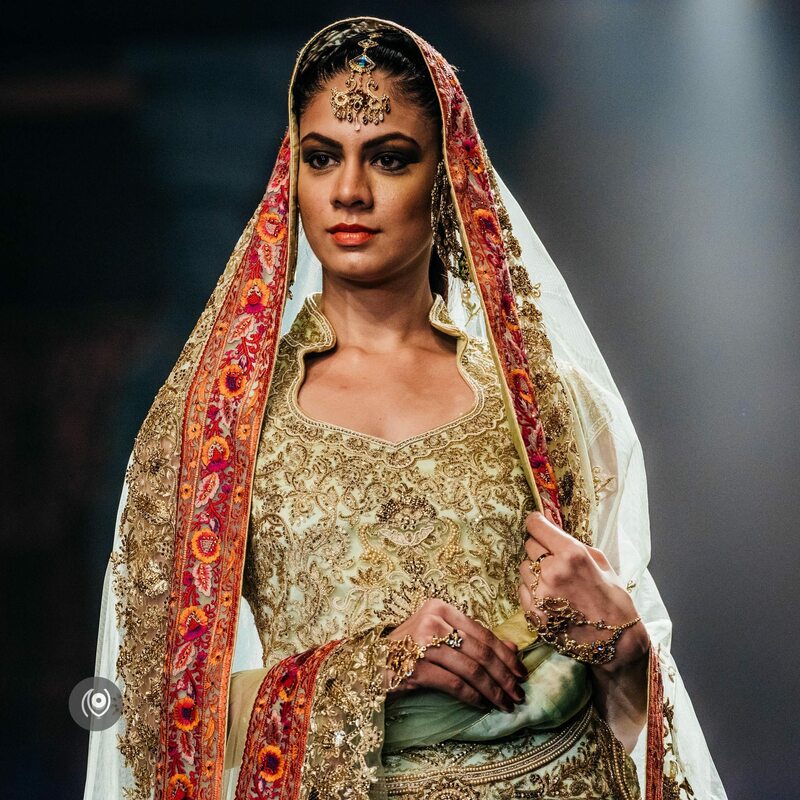 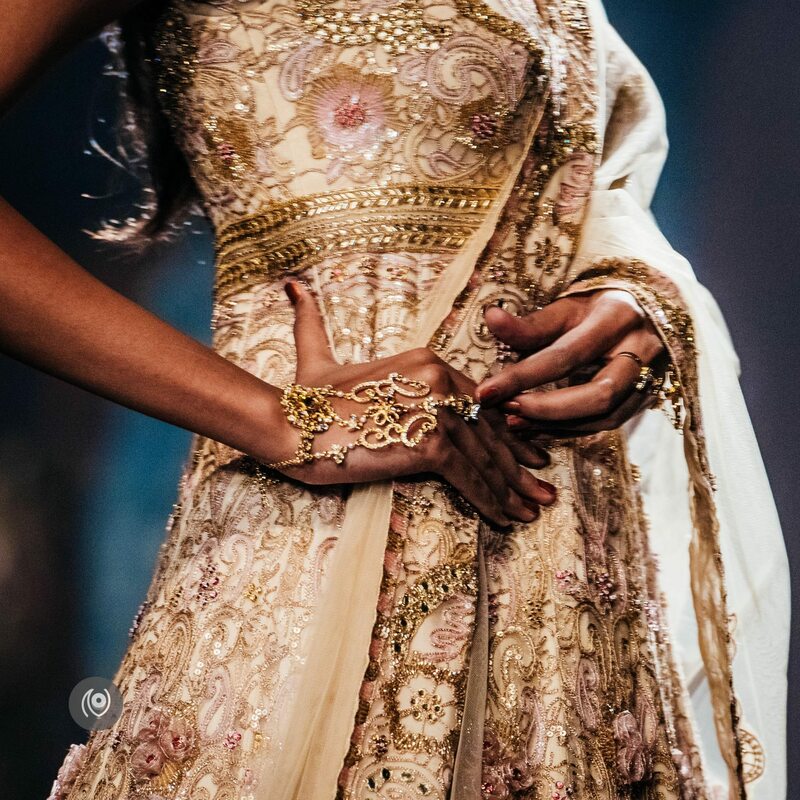 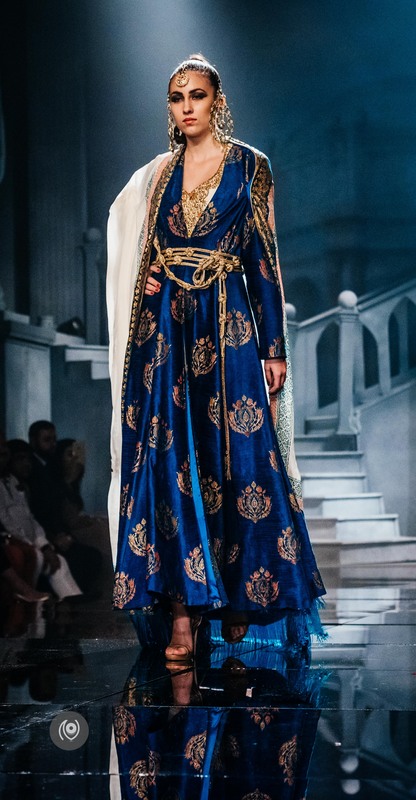 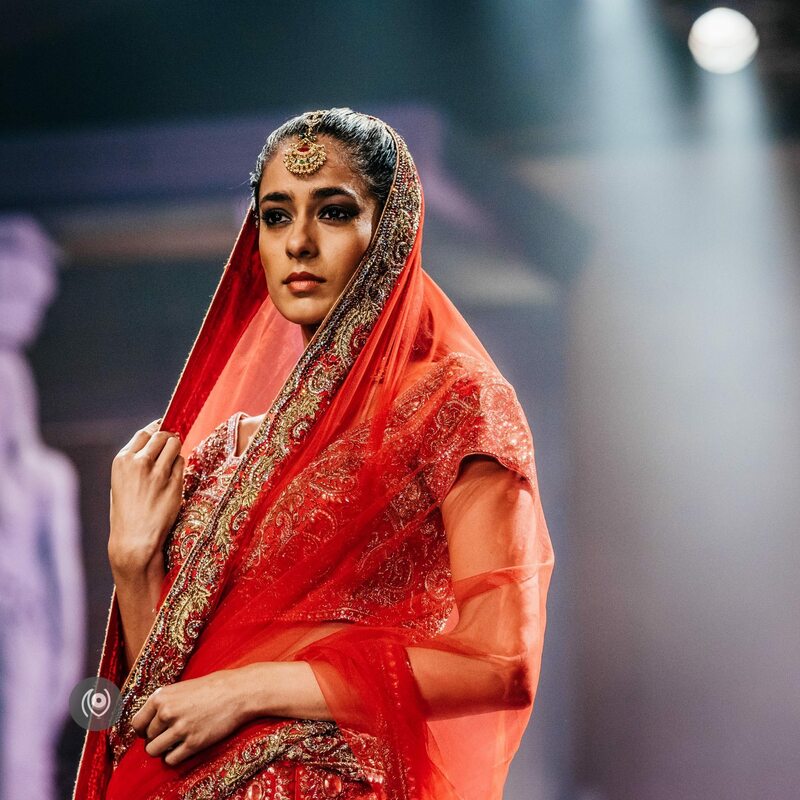 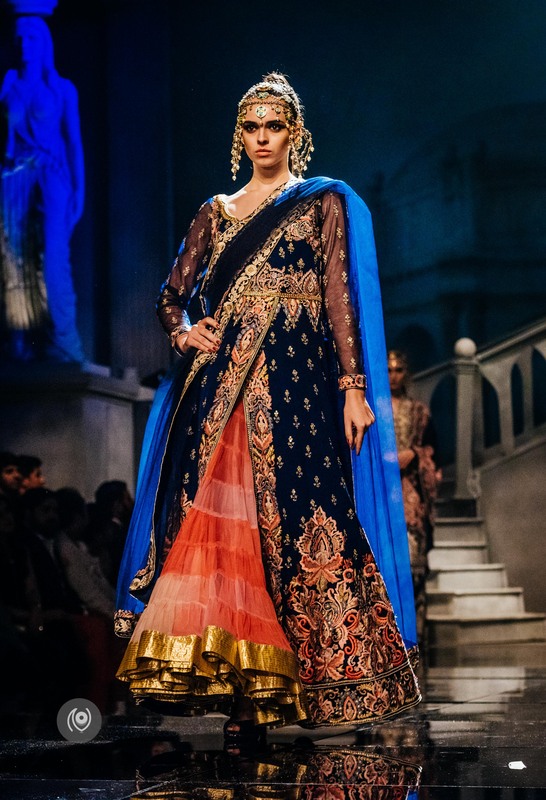 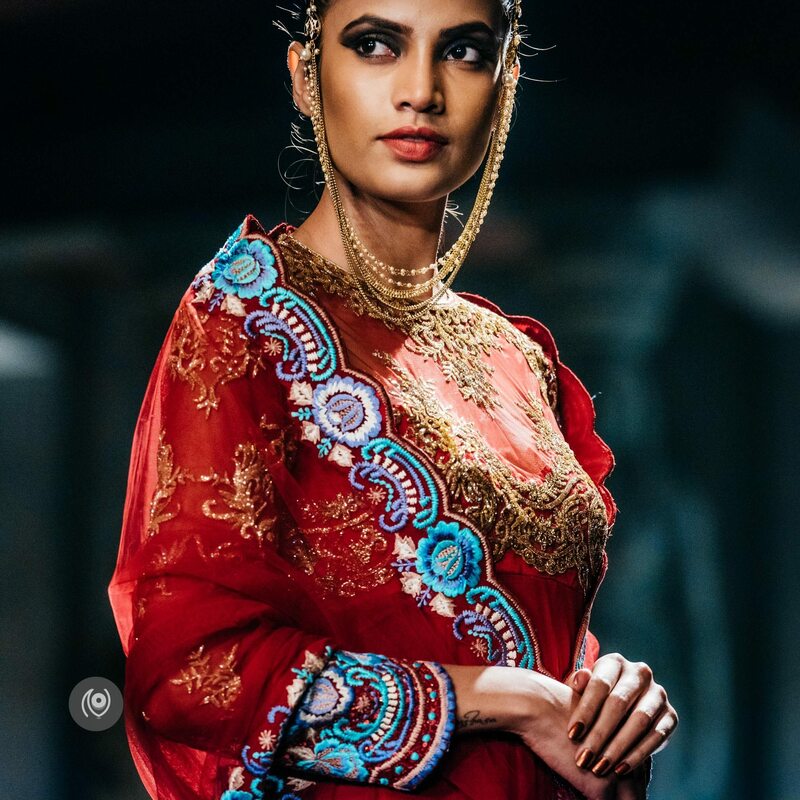 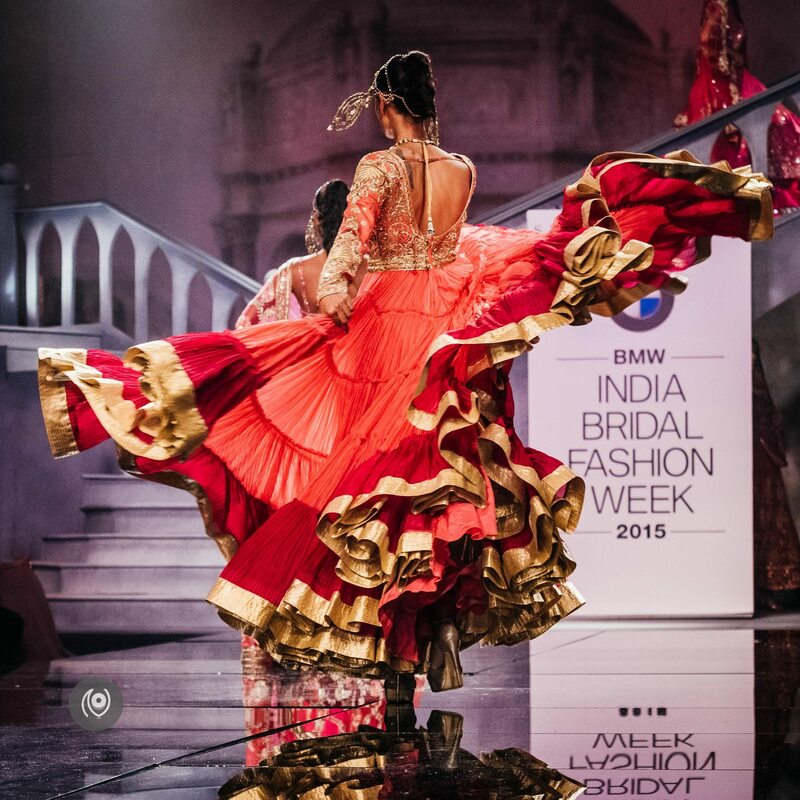 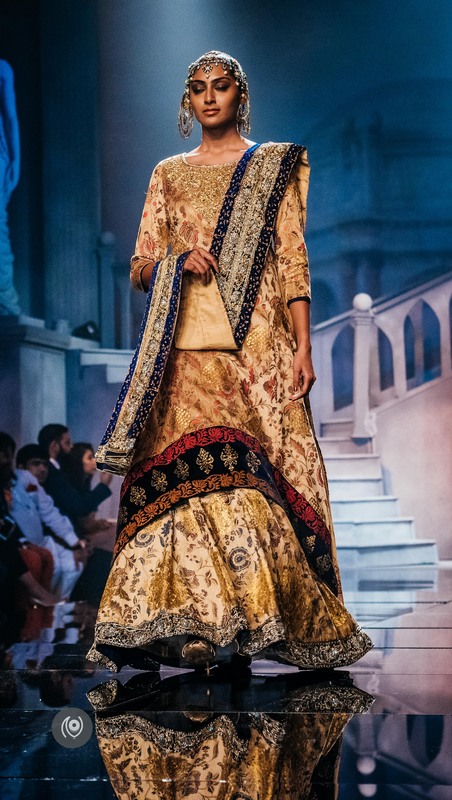 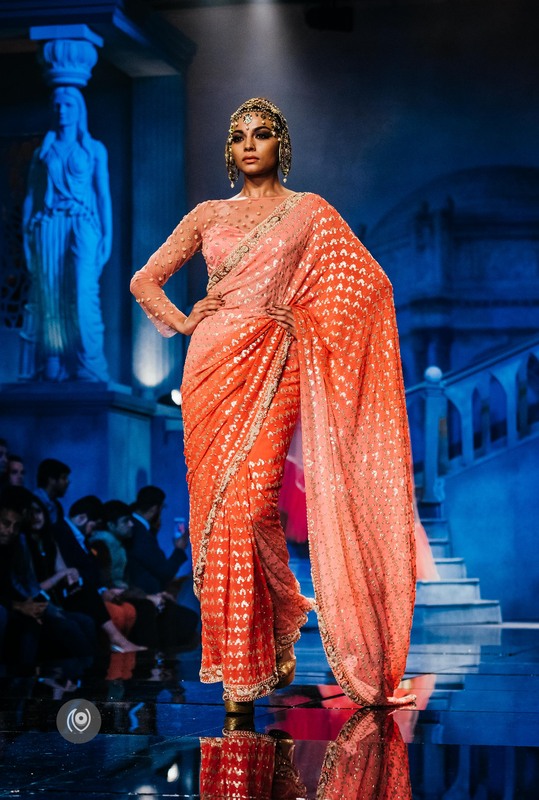 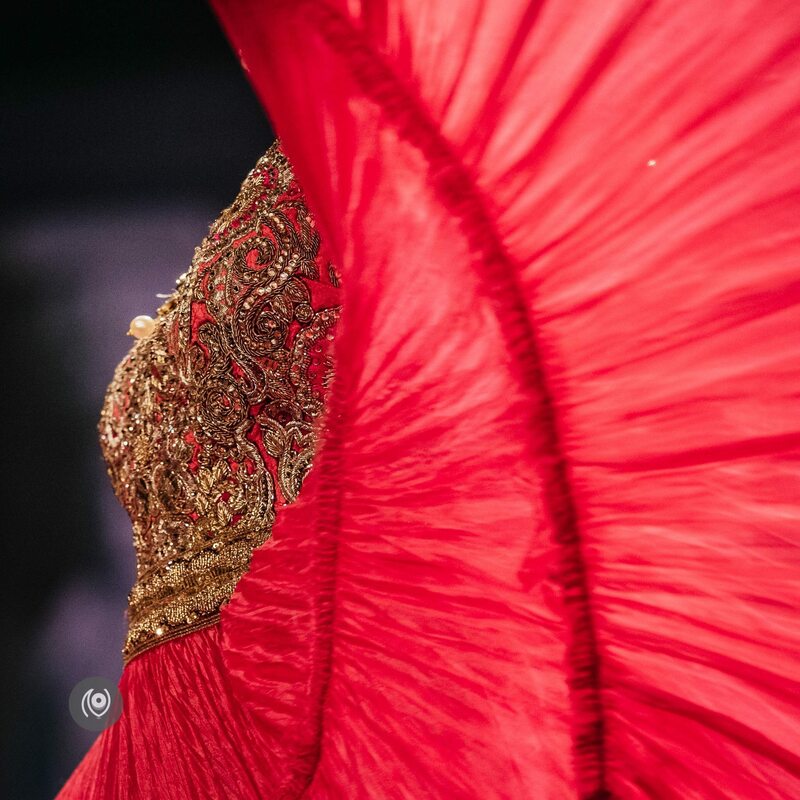 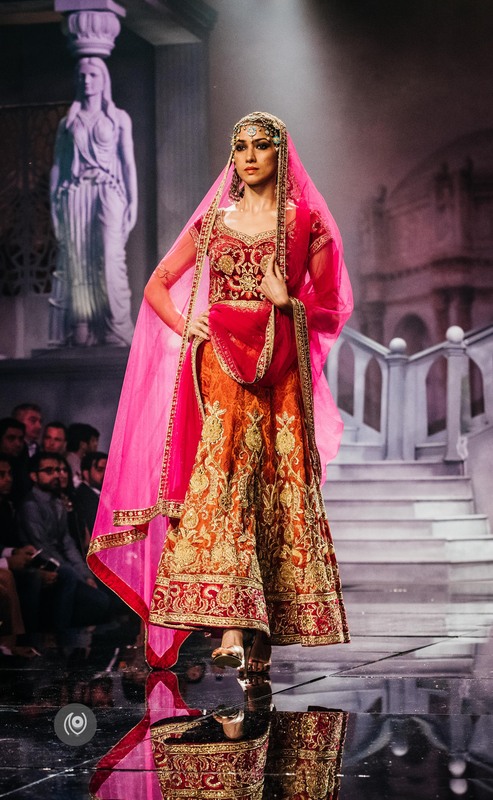 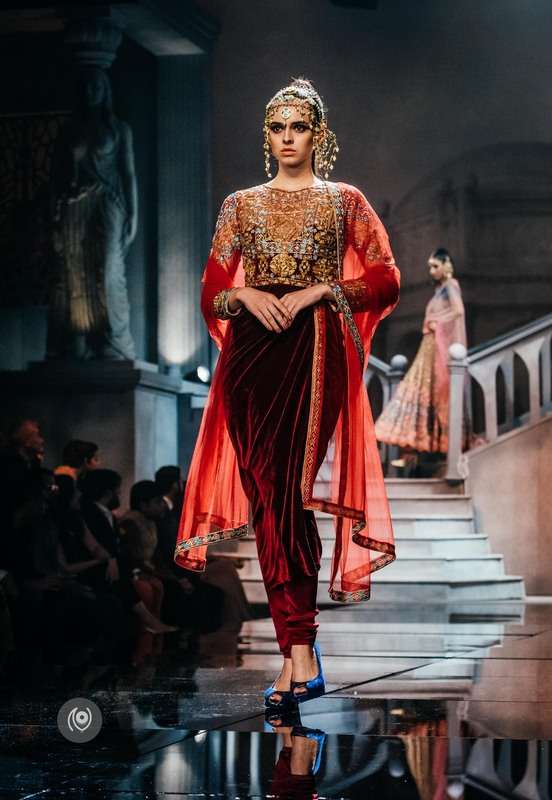 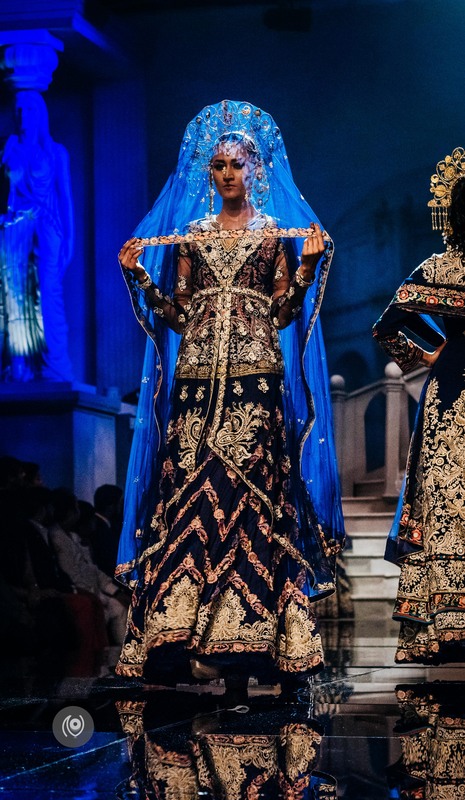 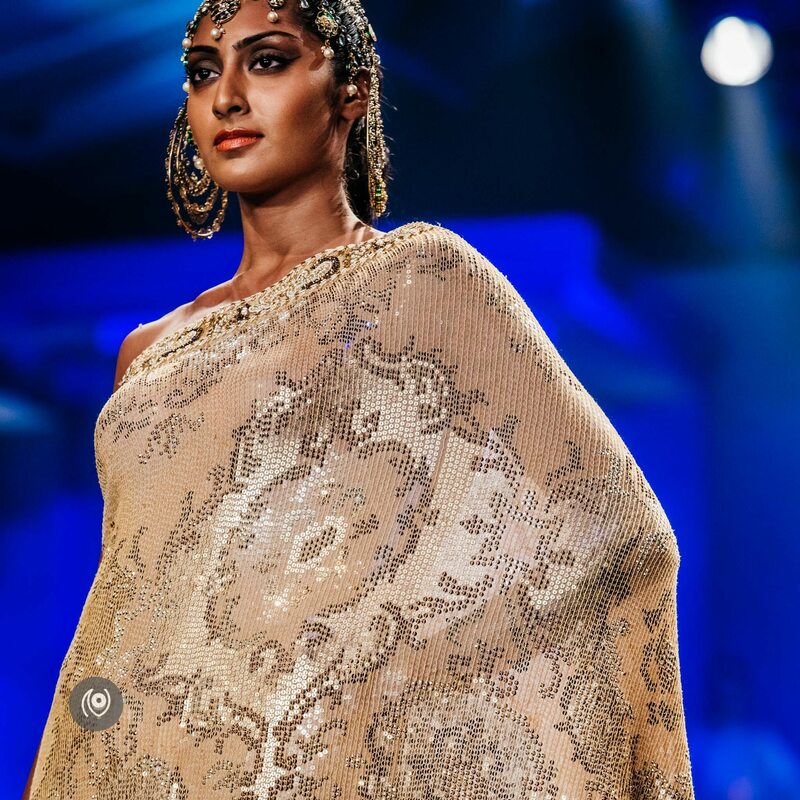 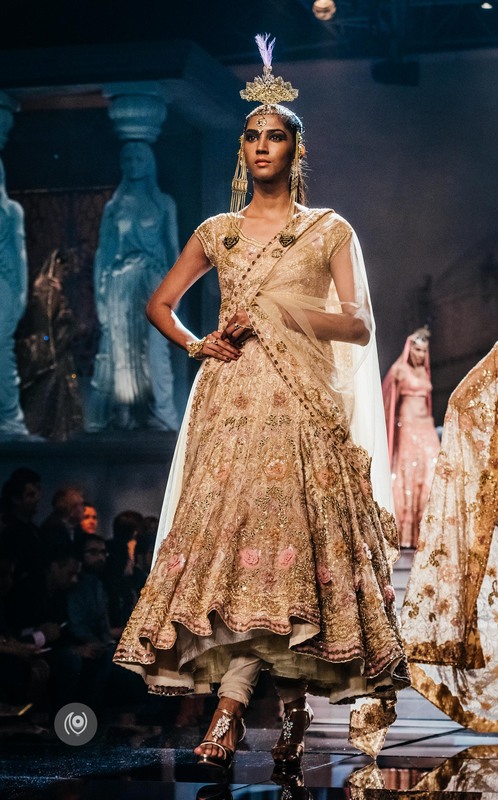 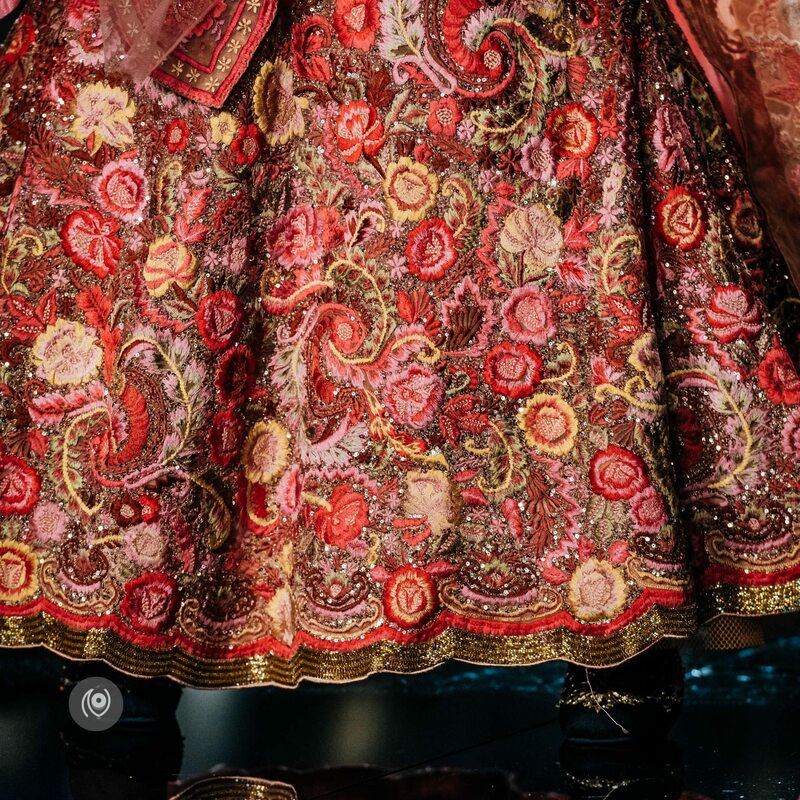 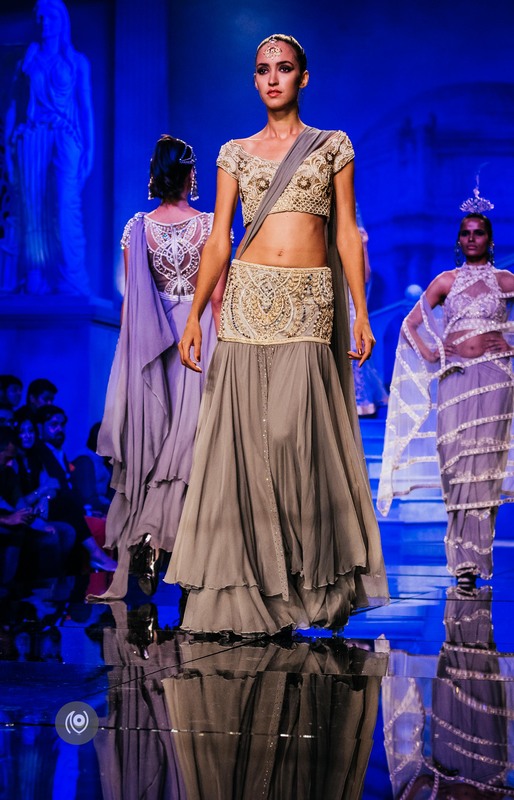 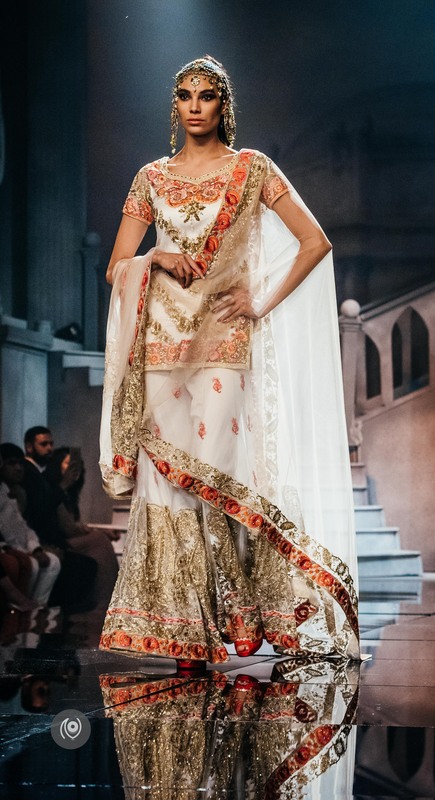 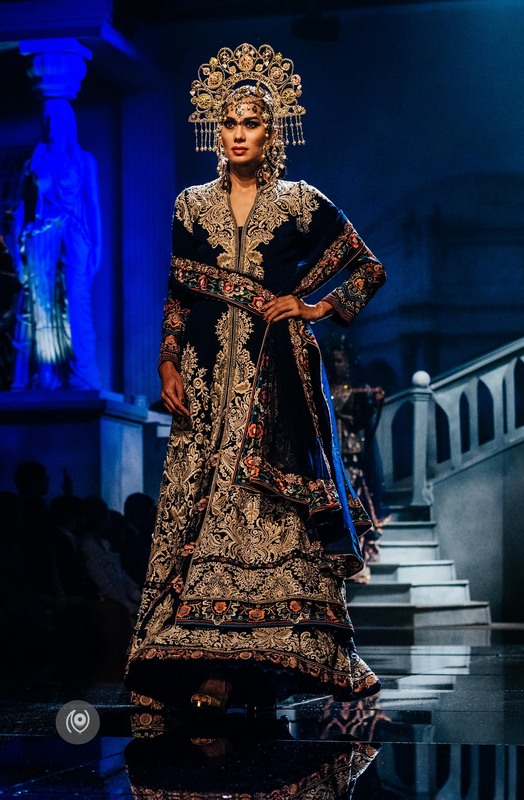 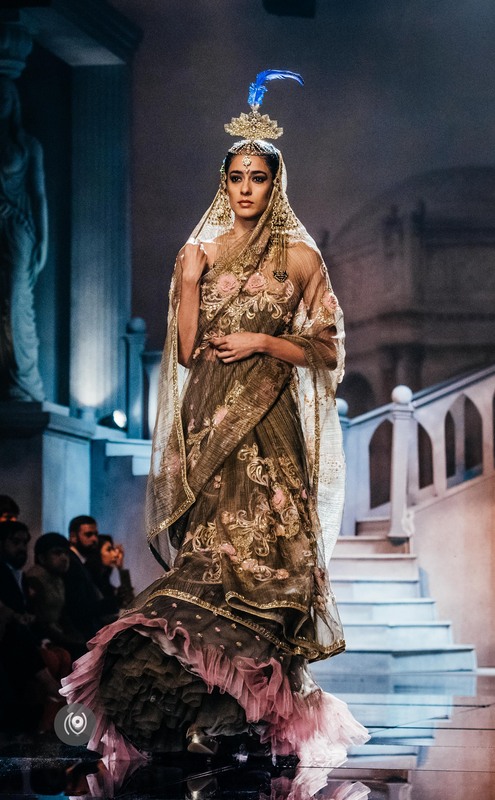 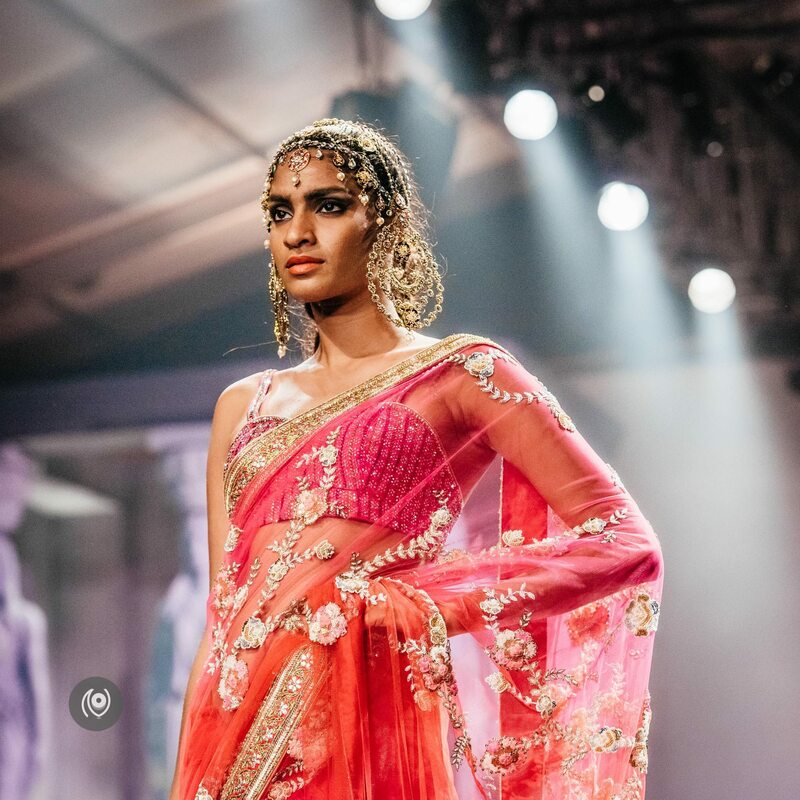 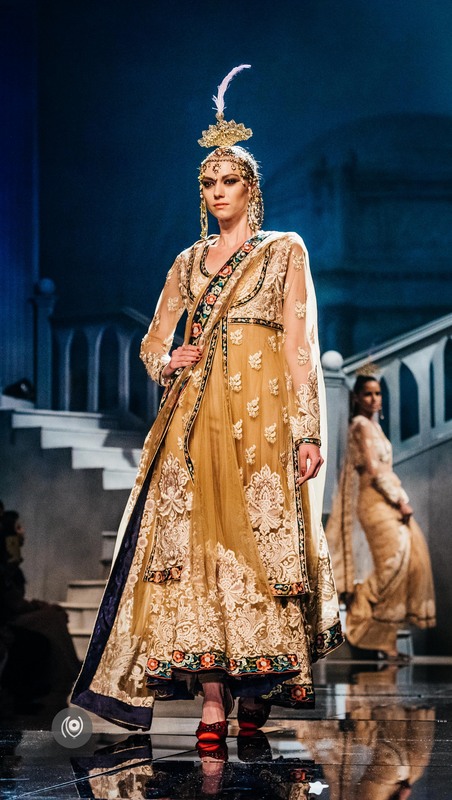 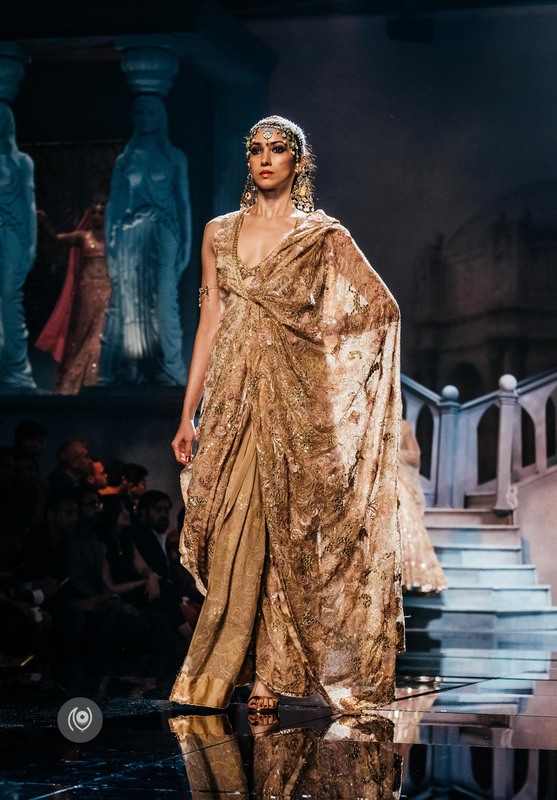 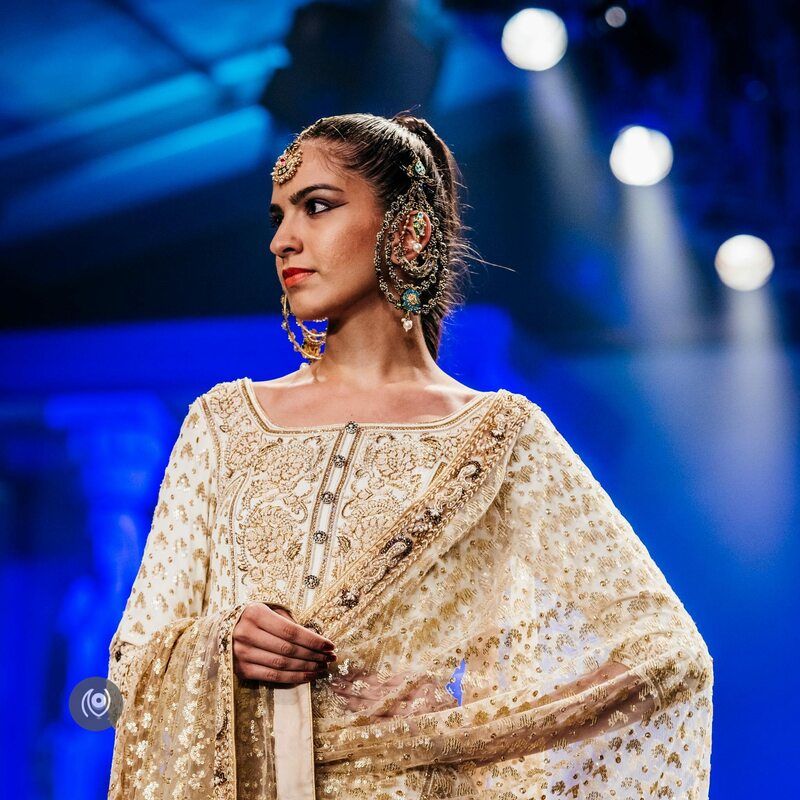 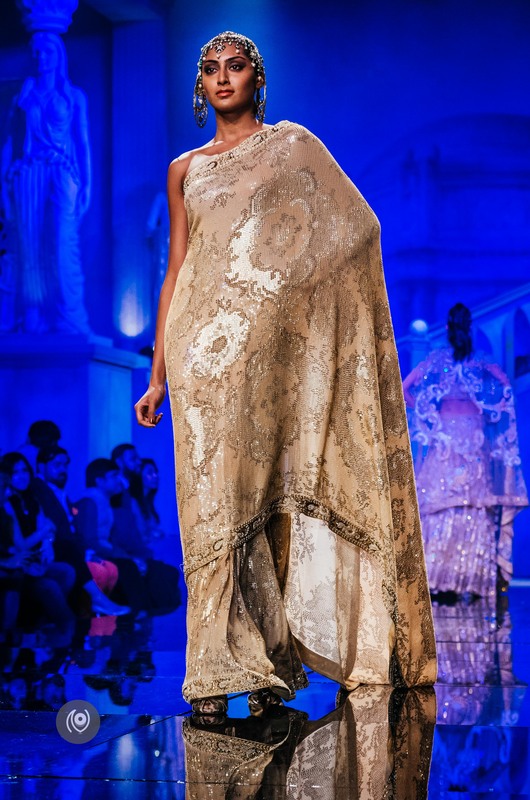 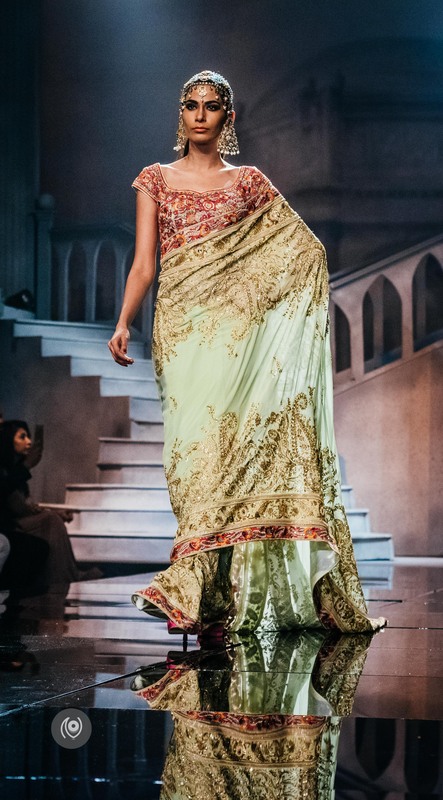 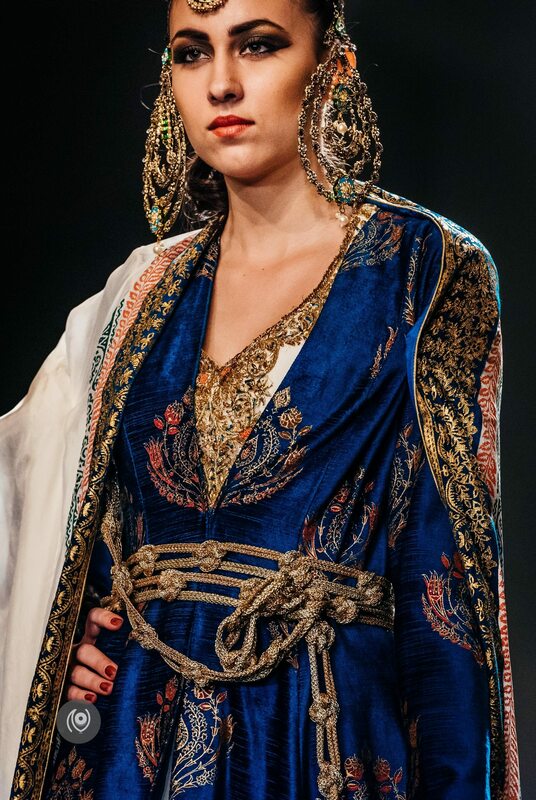 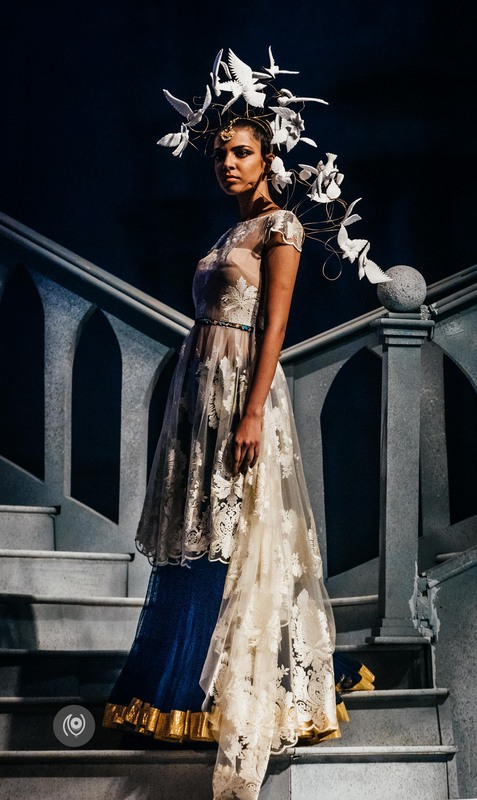 The Suneet Varma collection for Fall 2015 is based on the grandeur of the Ottoman Empire and the beautiful poetry of the renowned poet Omar Khayyam who was one of the greatest Persian philosophers and poet who wrote the love couplets in The Rubaiyat. 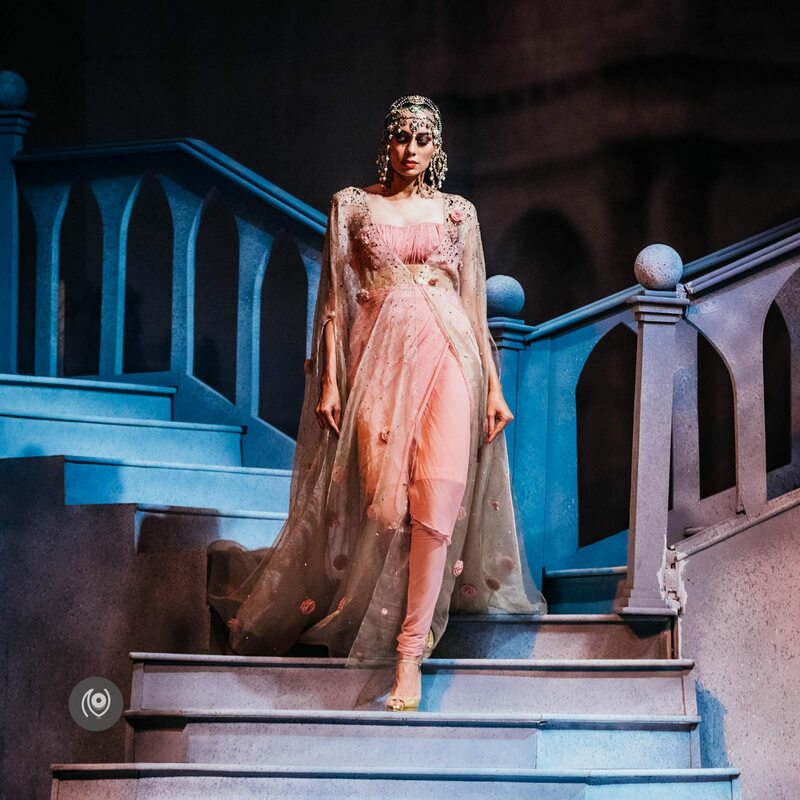 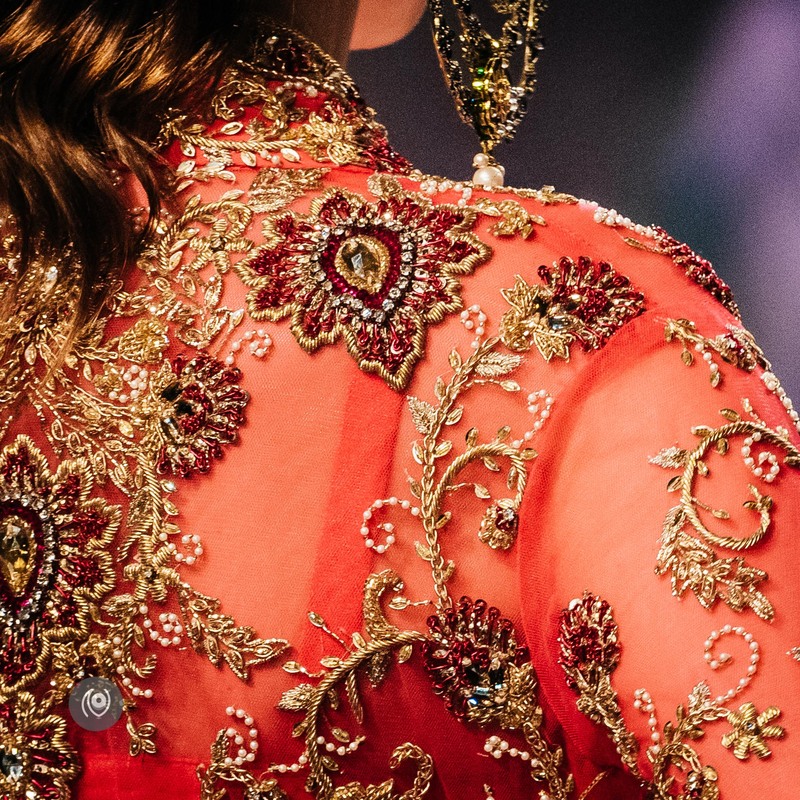 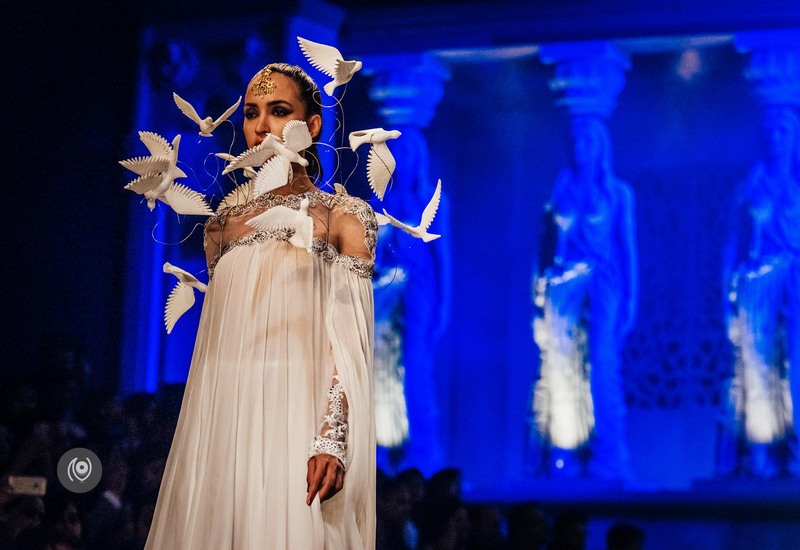 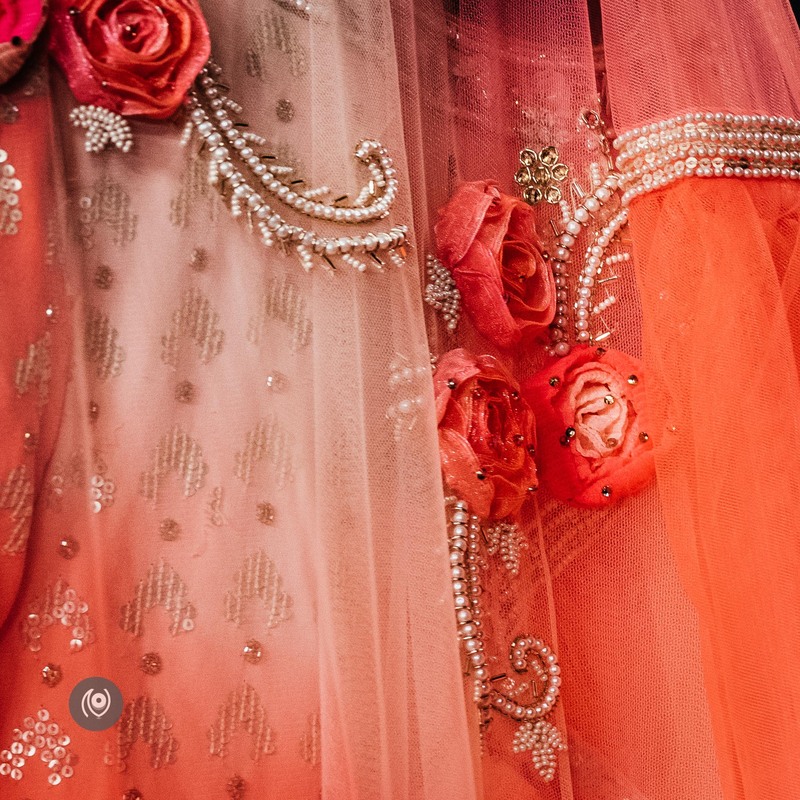 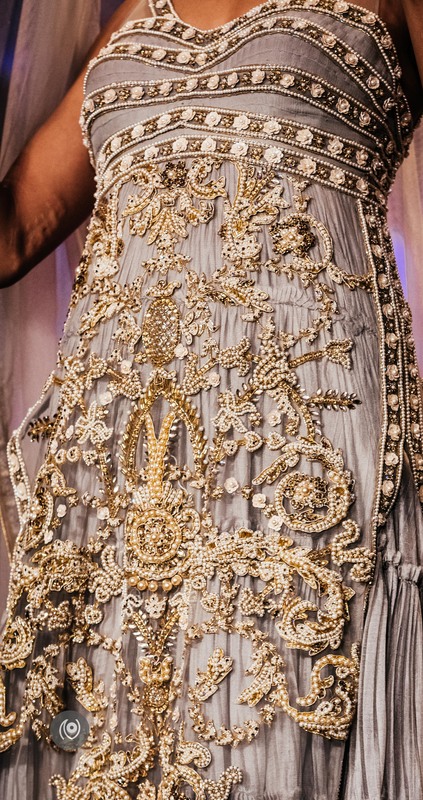 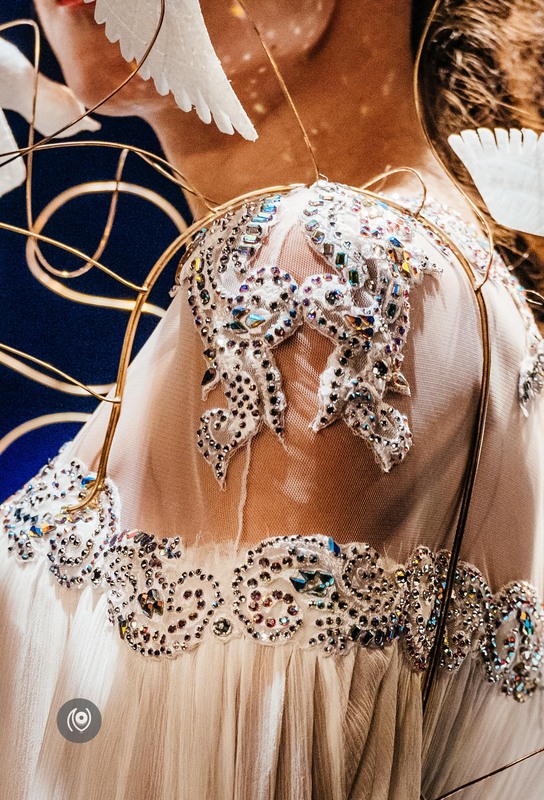 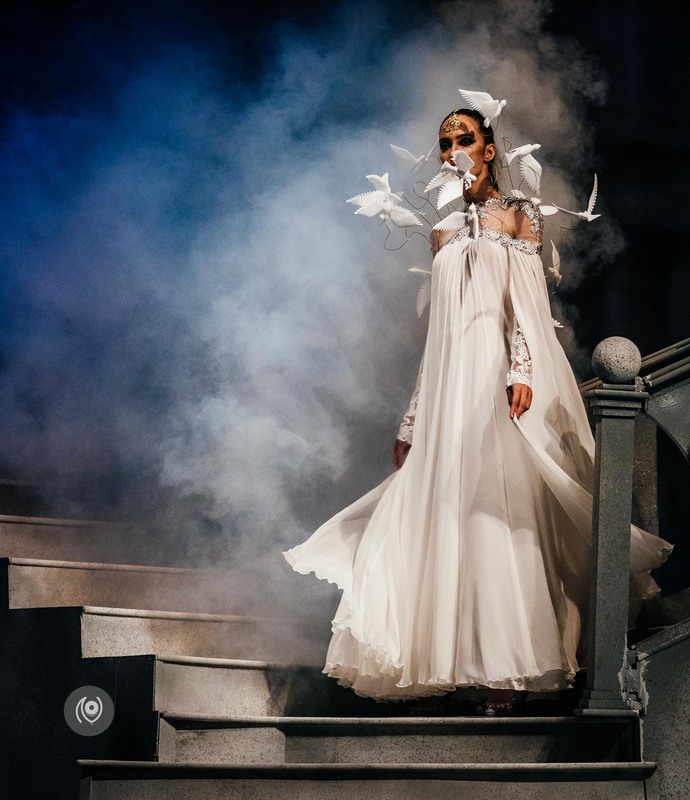 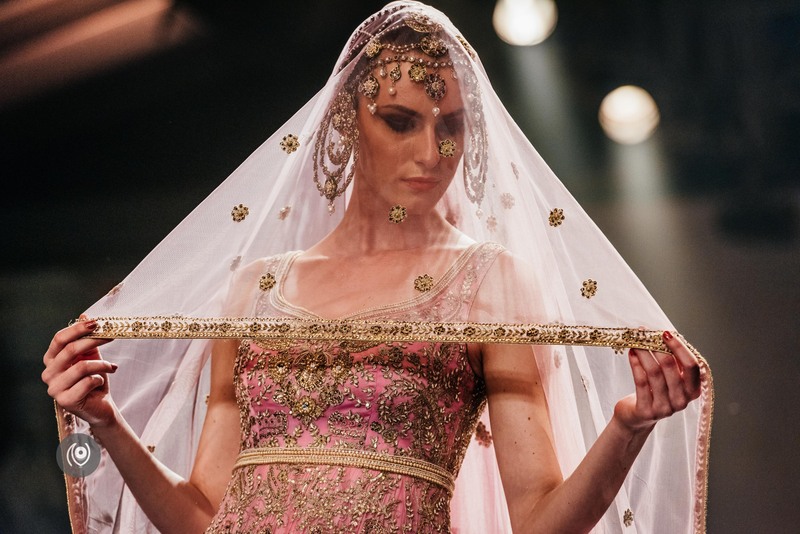 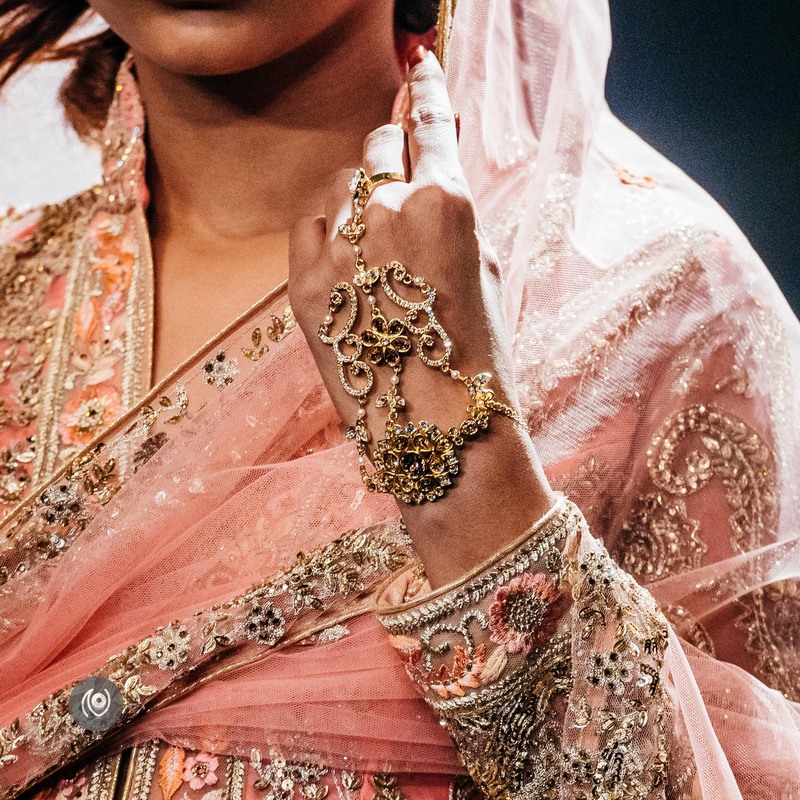 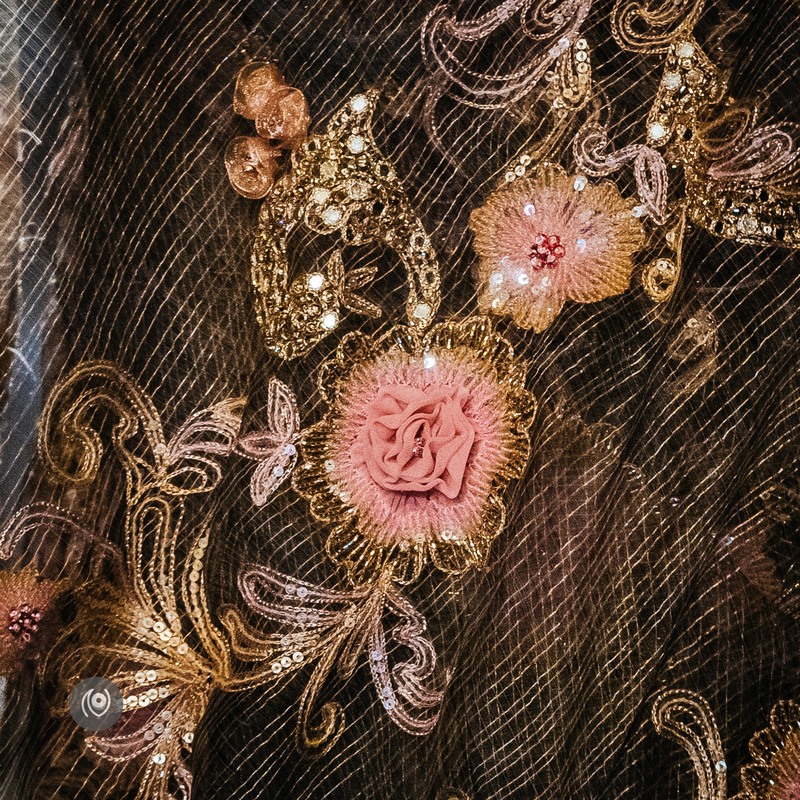 Adorned with Swarovski crystals, this couture collection is based on the arts and literature of Persia – The love poems, the lyrical motifs, the decorative arts in architecture, the Persian blues, the soft pastels and the nostalgic shades of gold and rose. 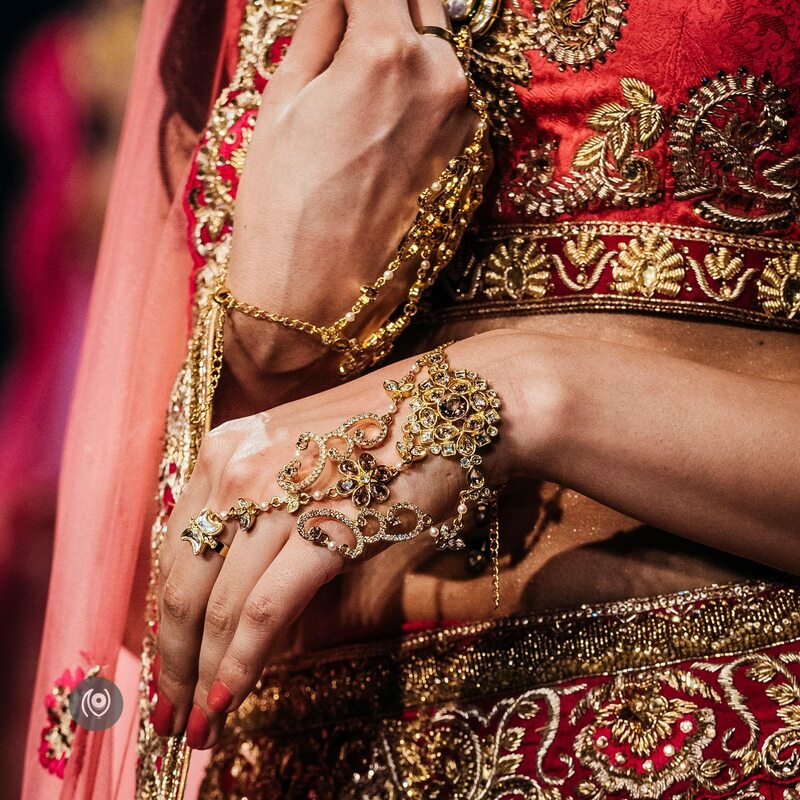 The accessories and are a very important part of the show and styling today. 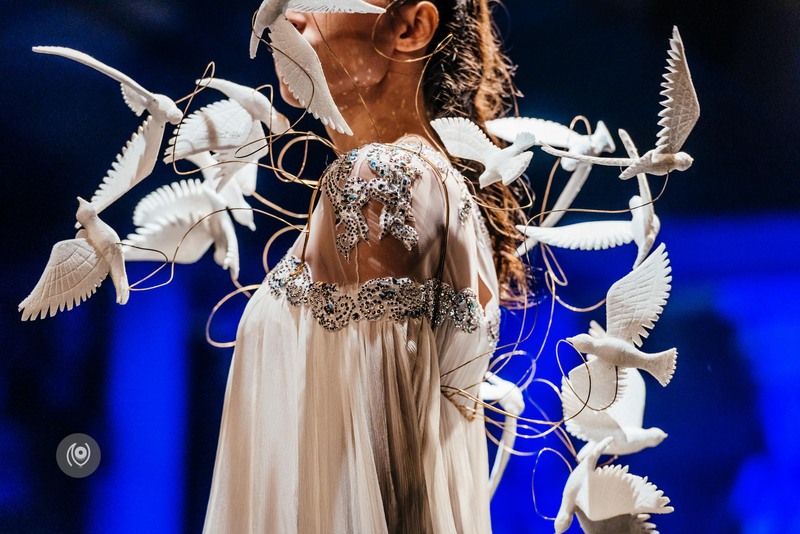 They are designed and handmade for this collection. 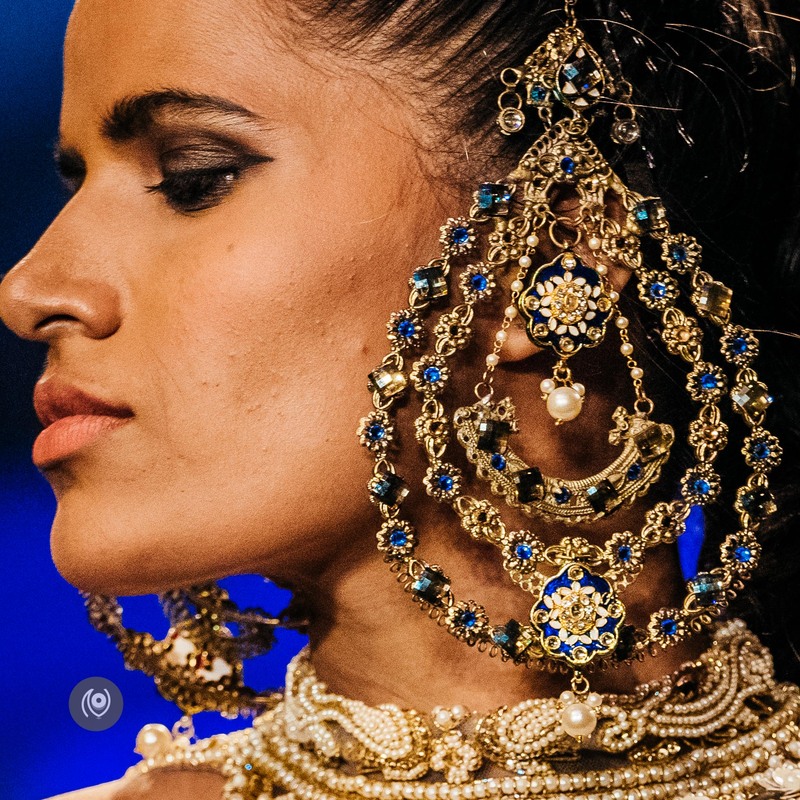 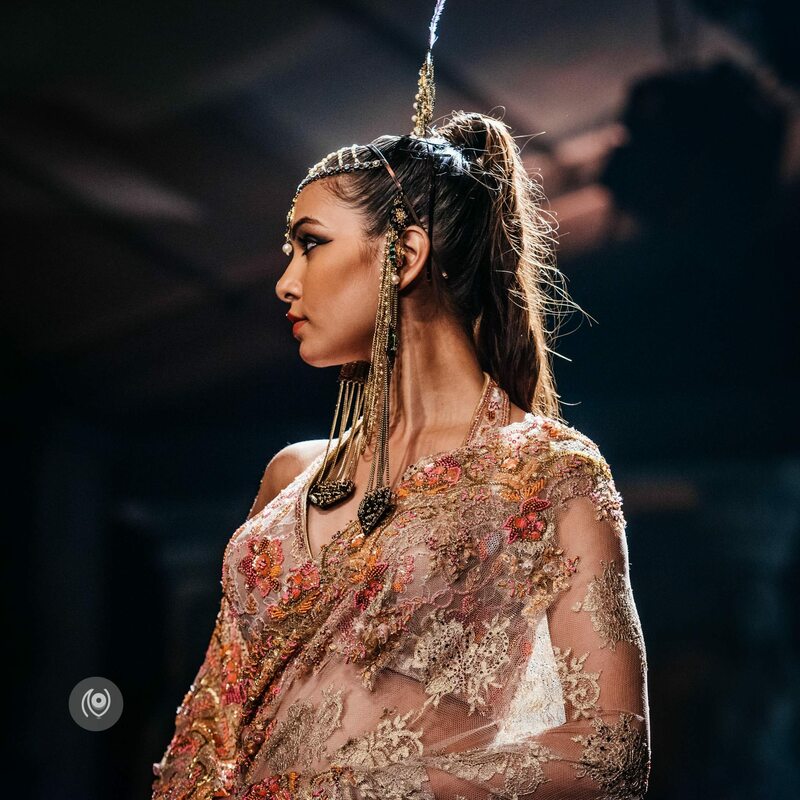 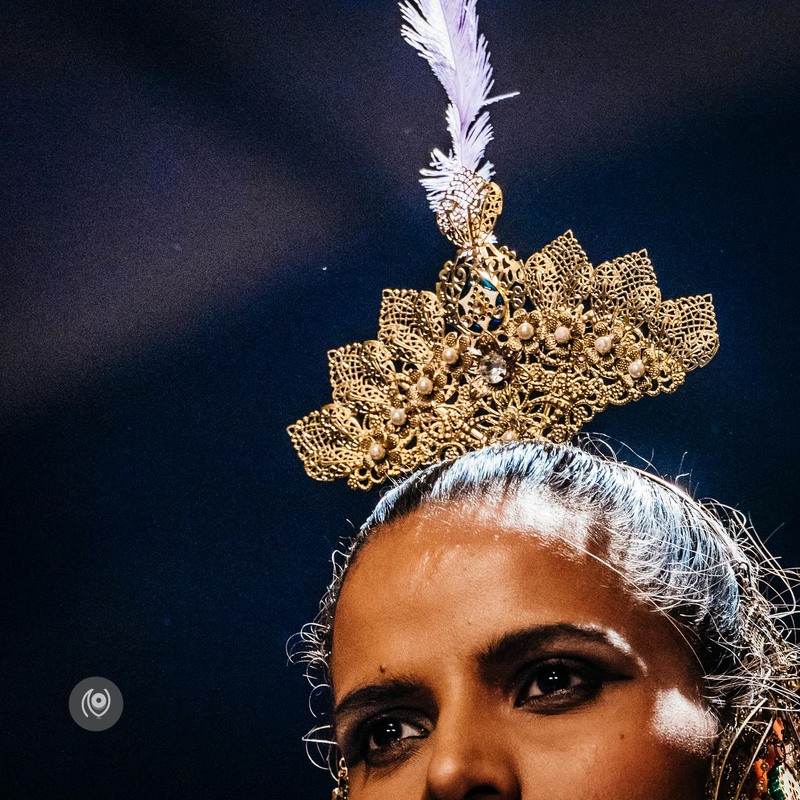 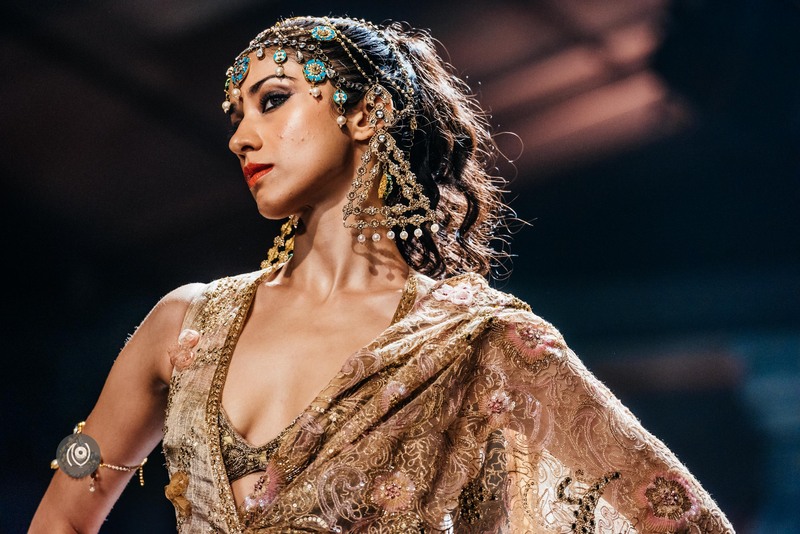 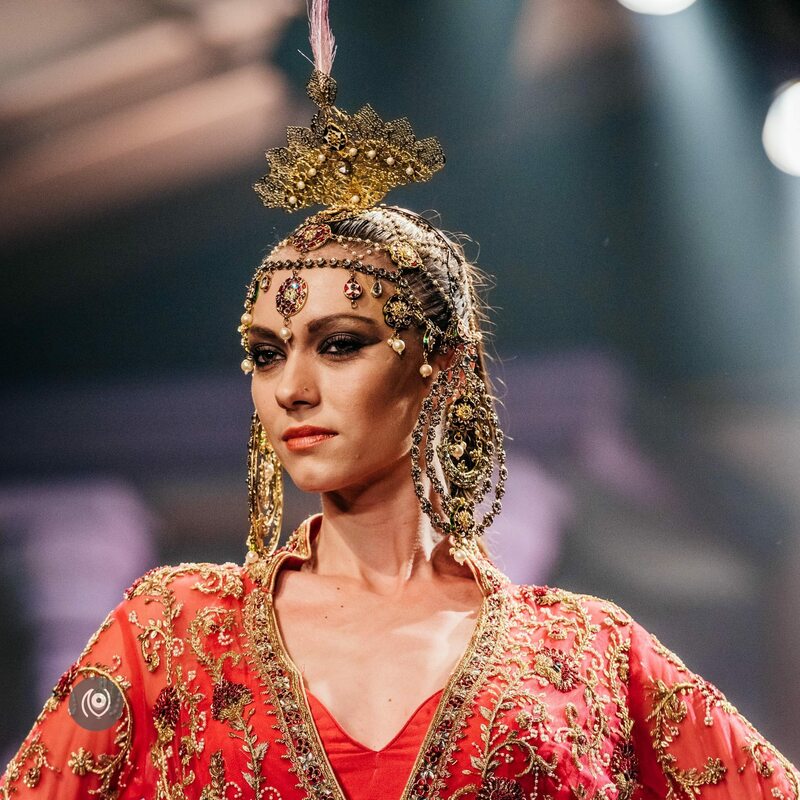 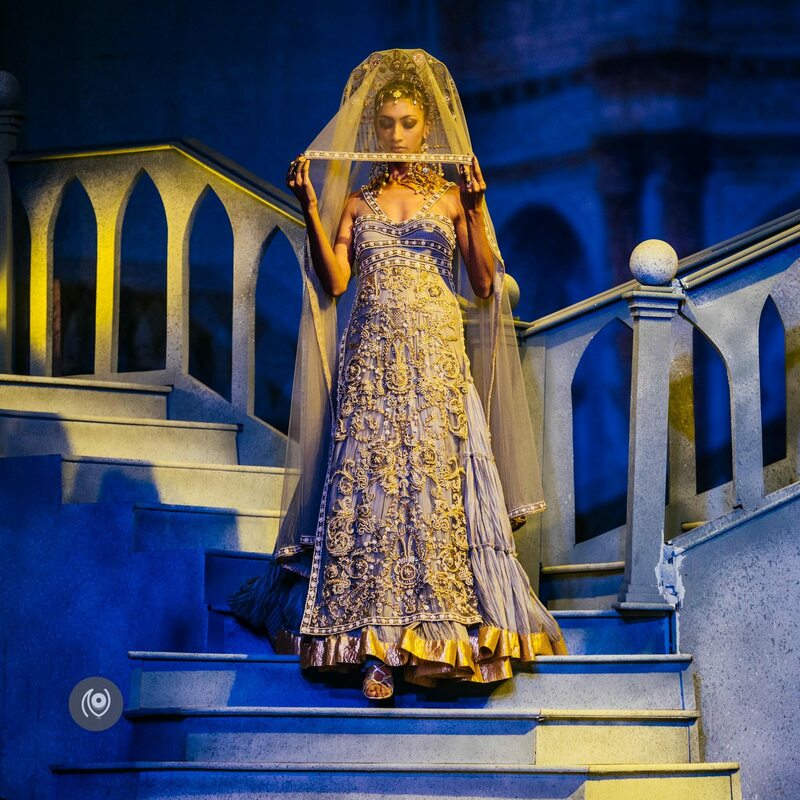 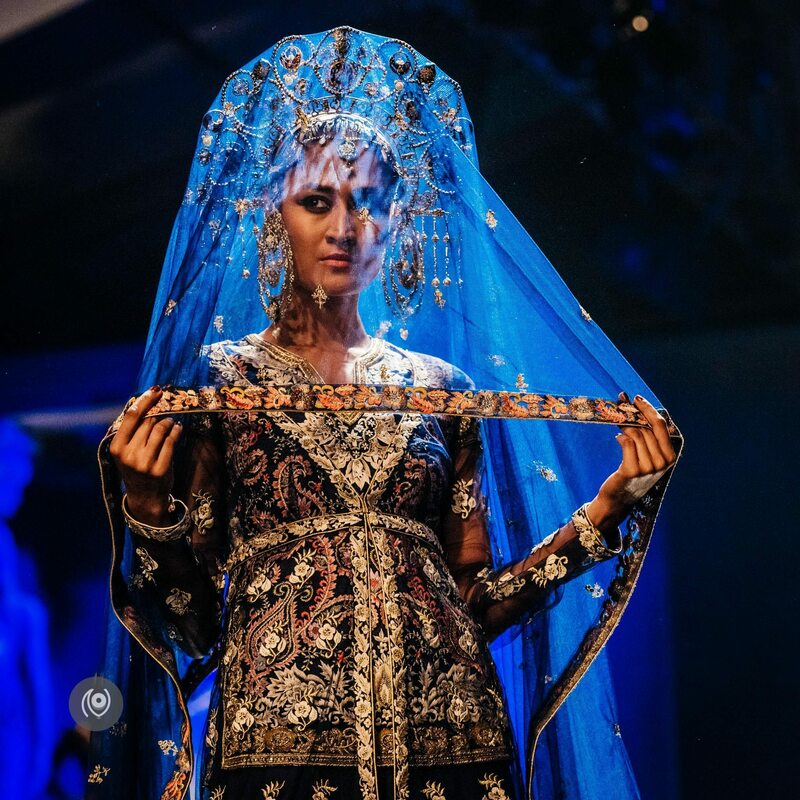 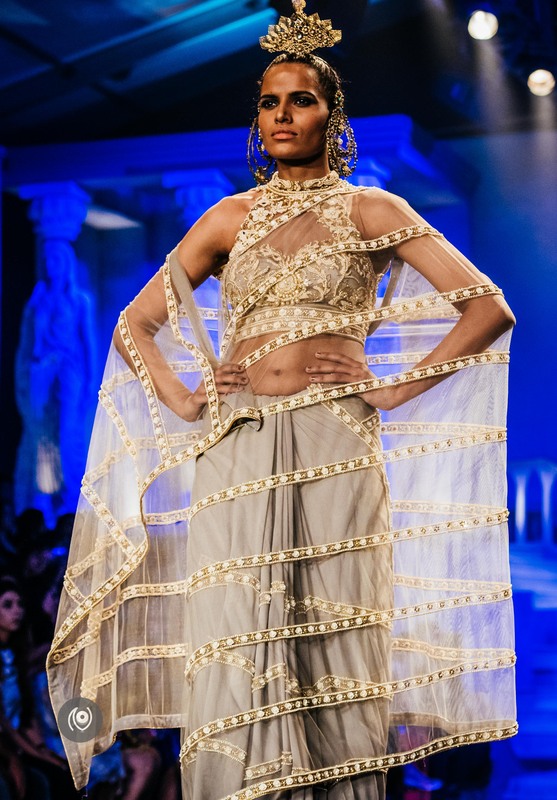 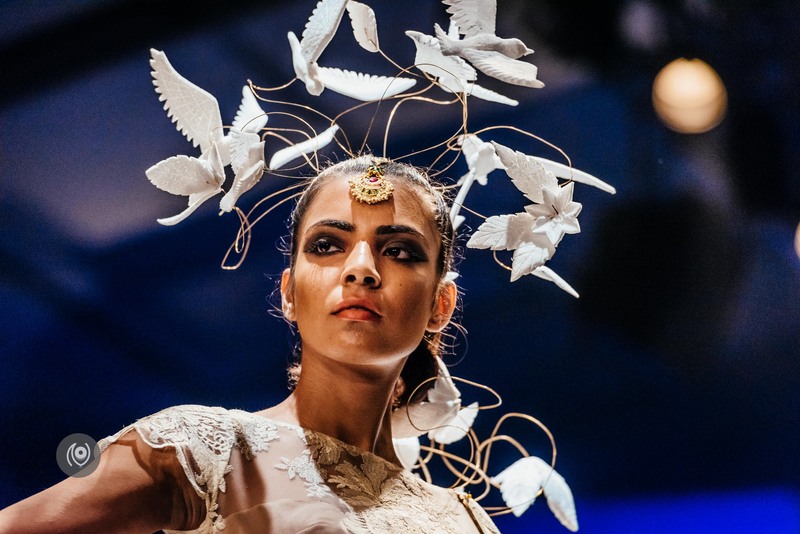 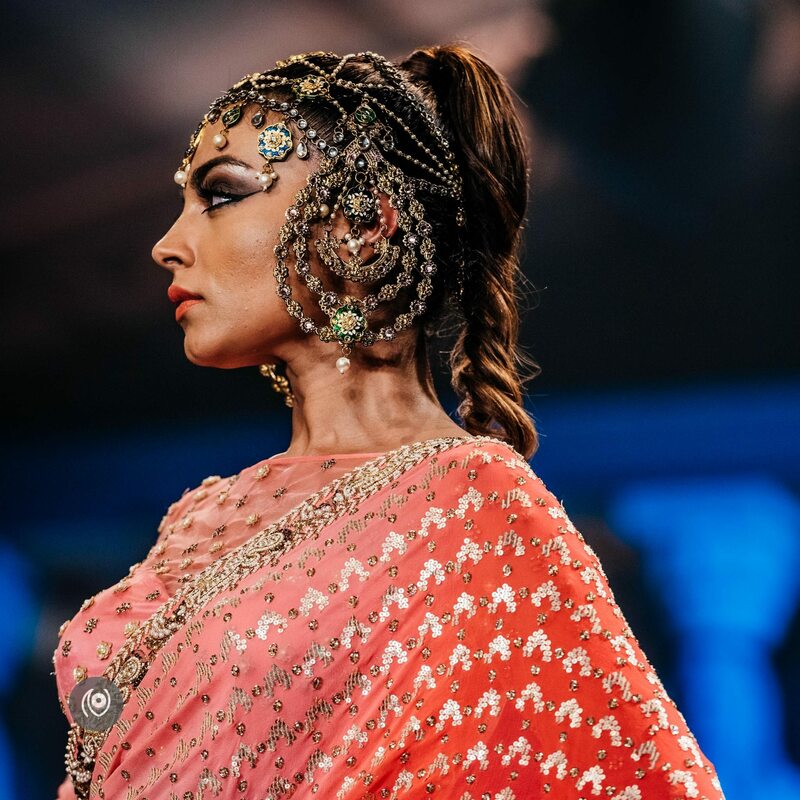 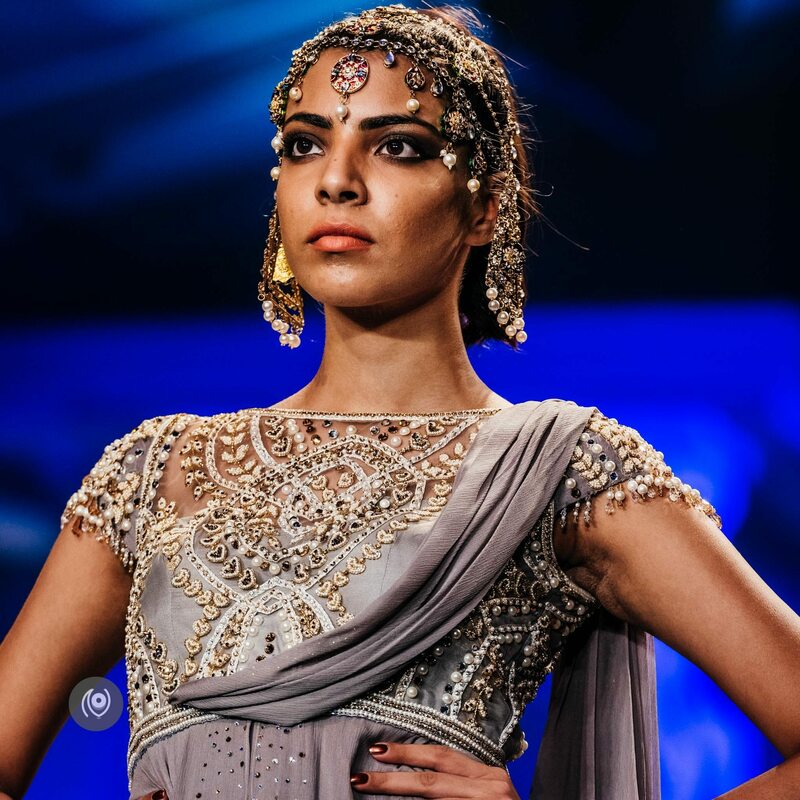 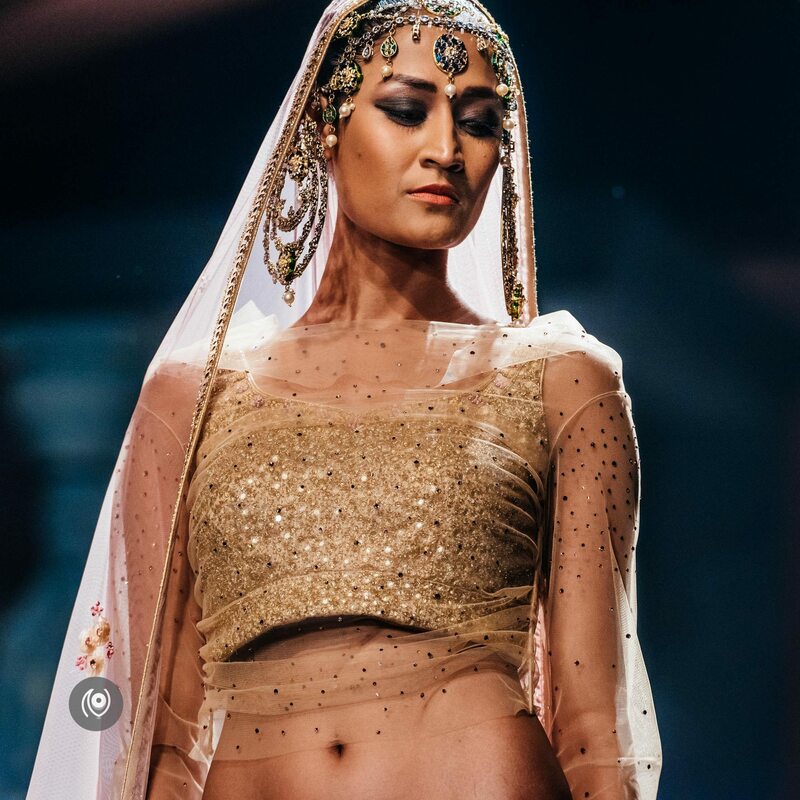 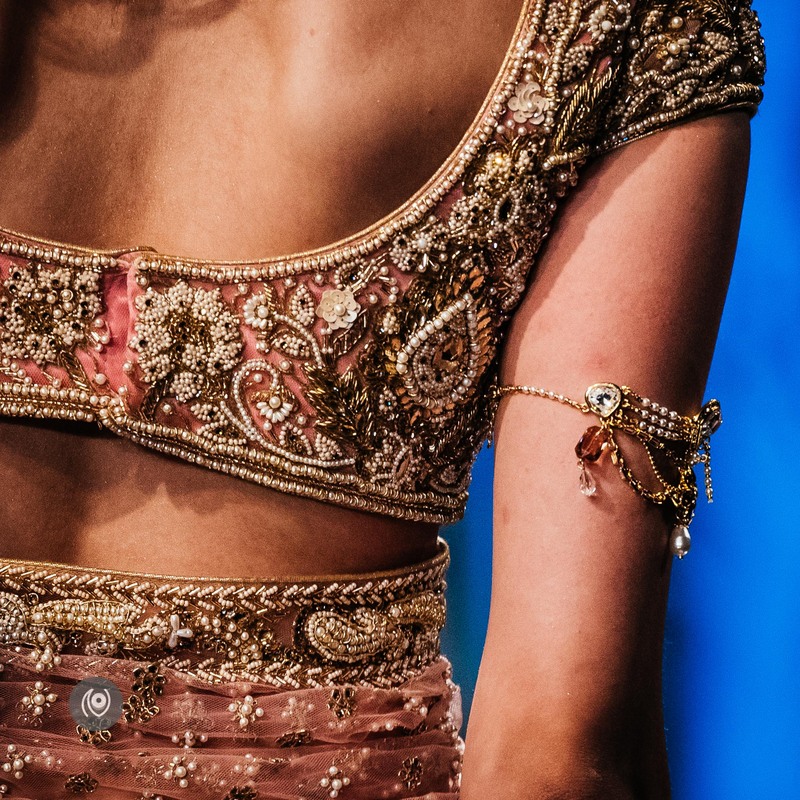 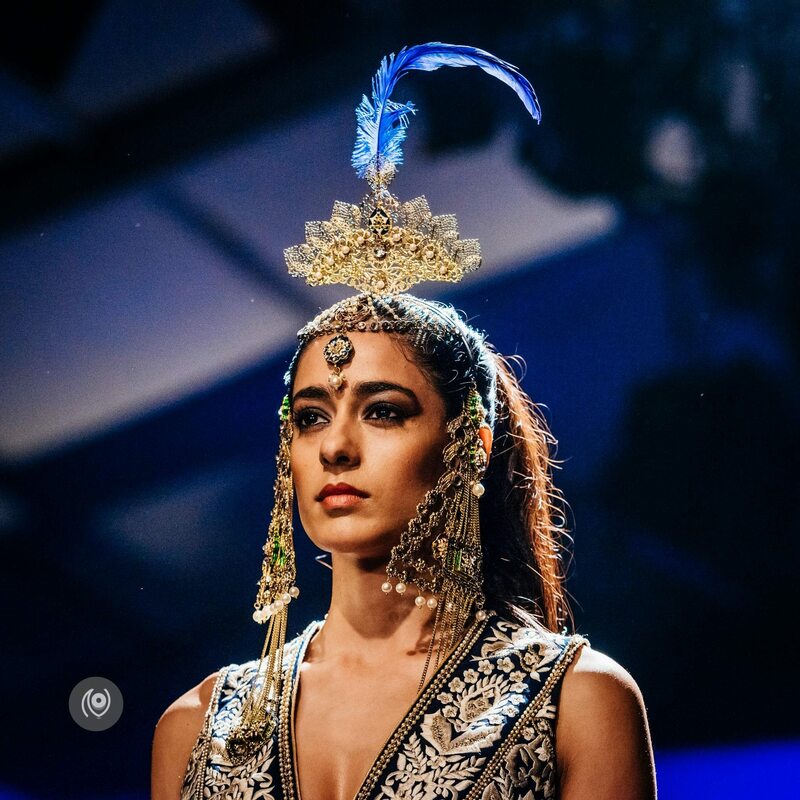 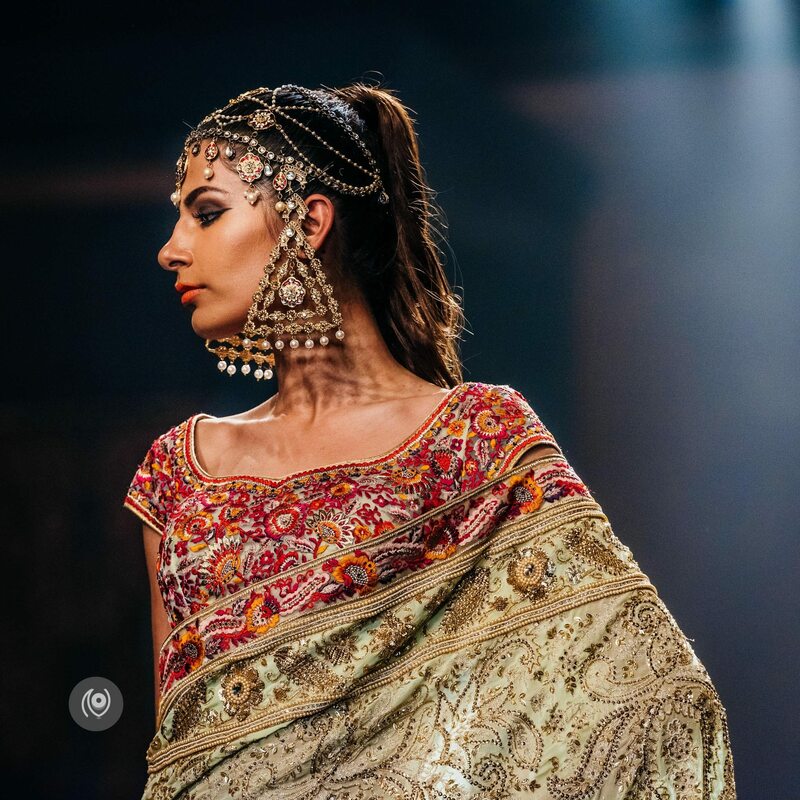 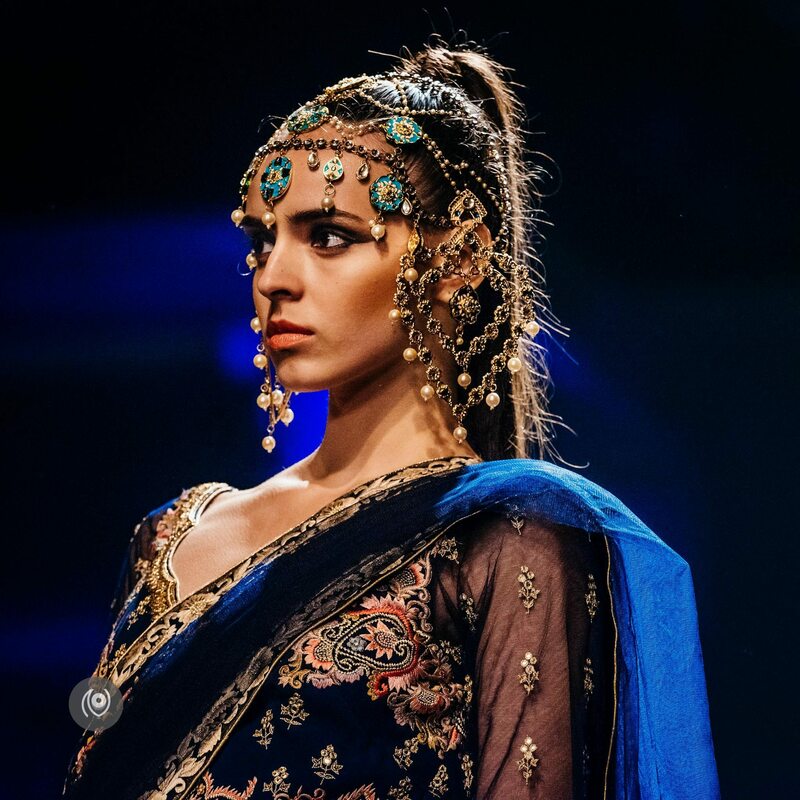 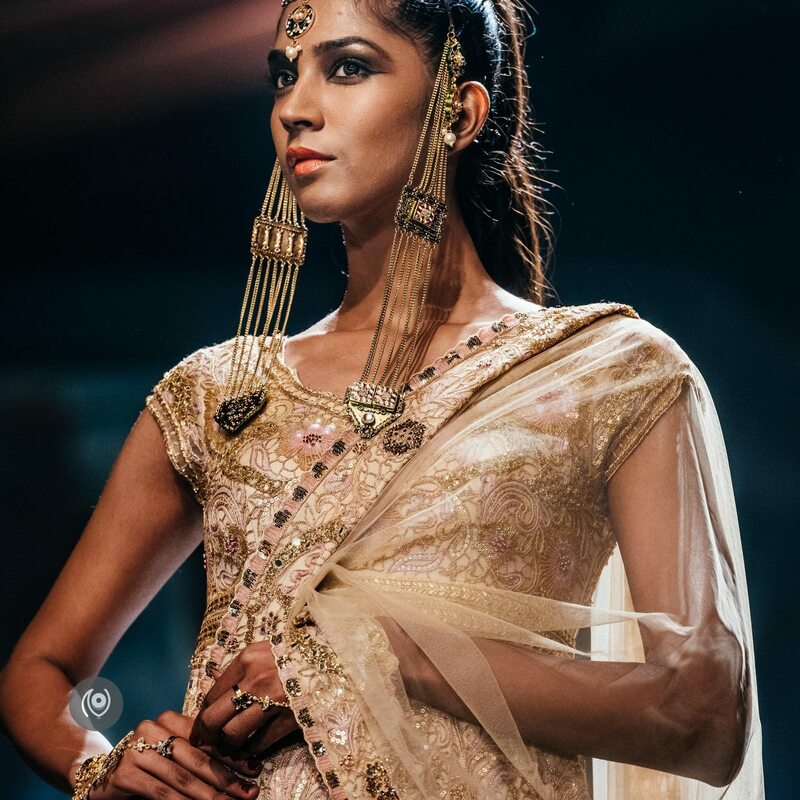 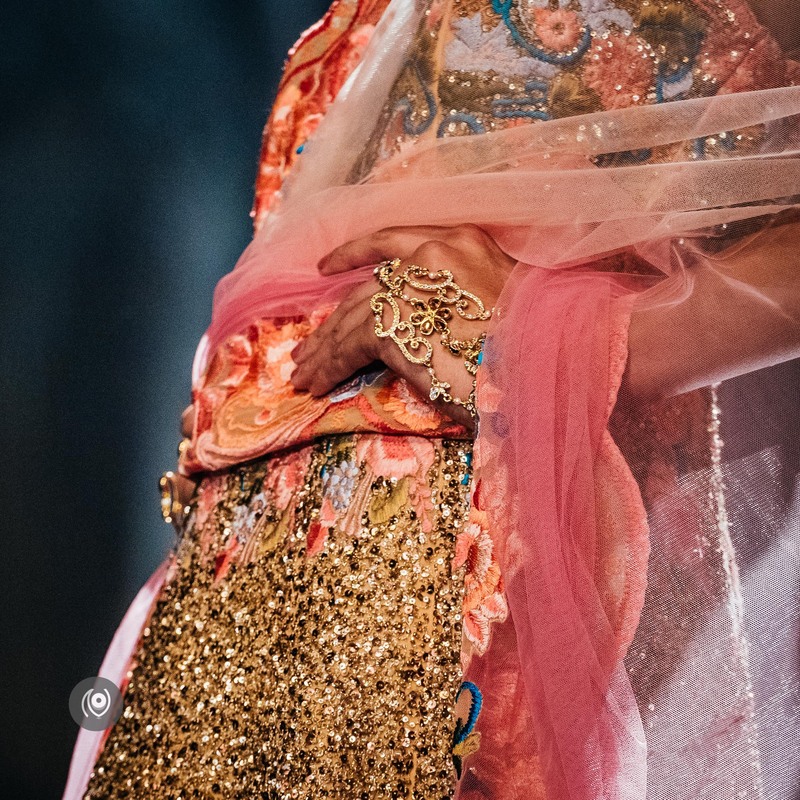 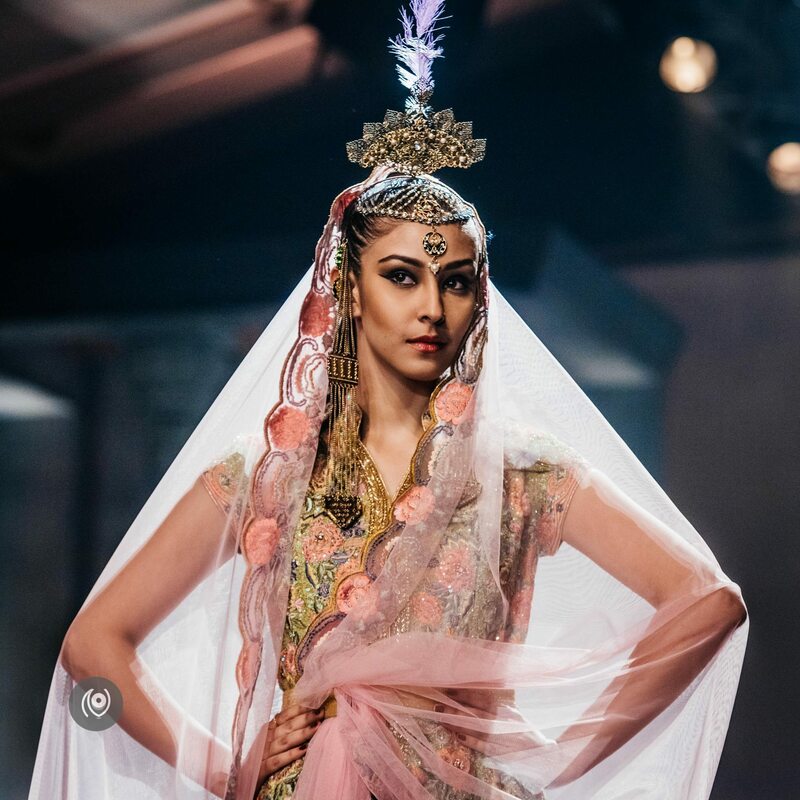 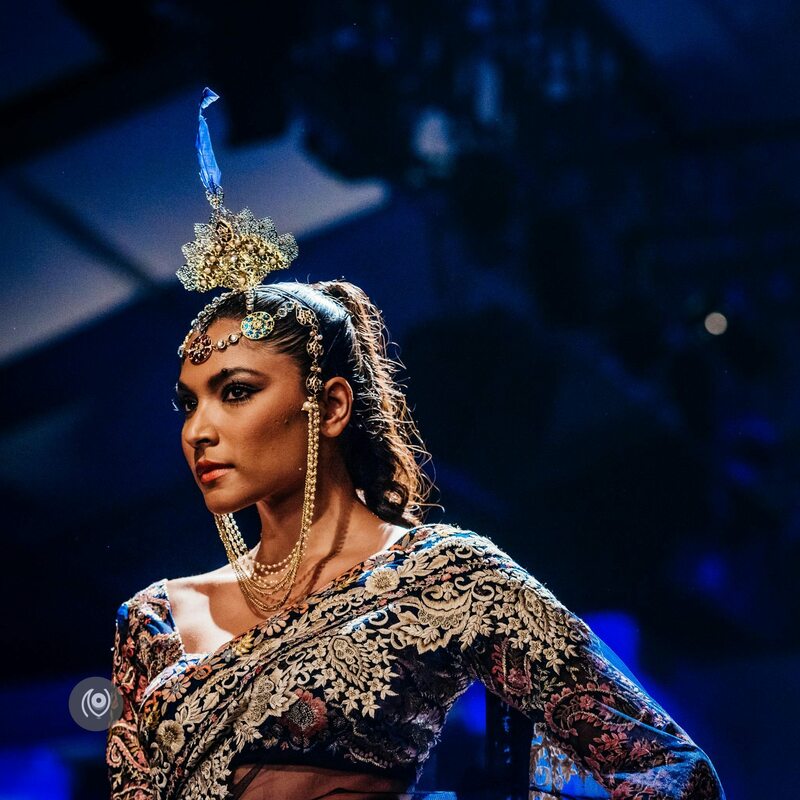 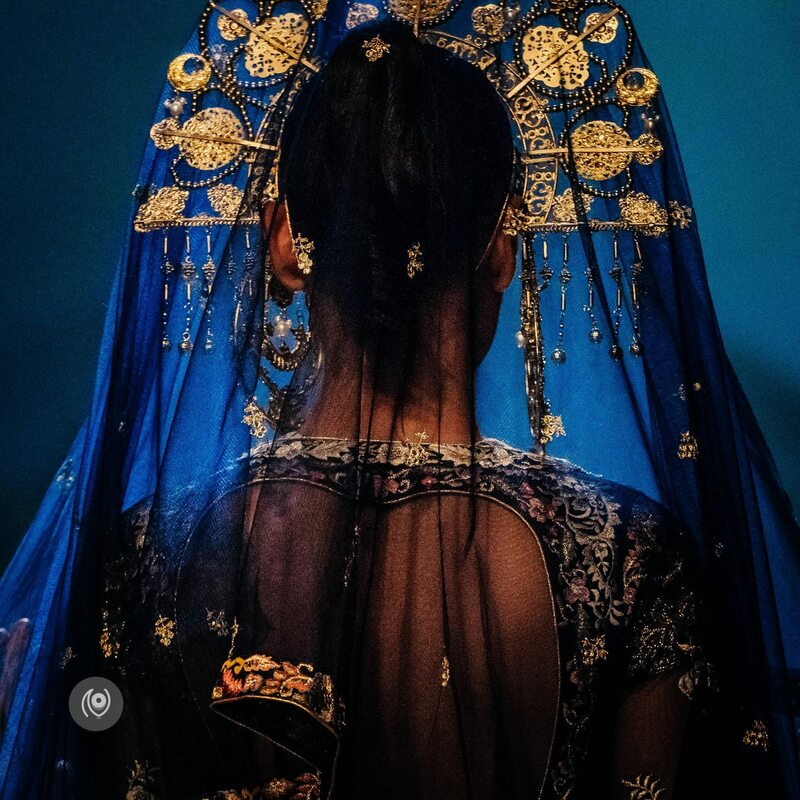 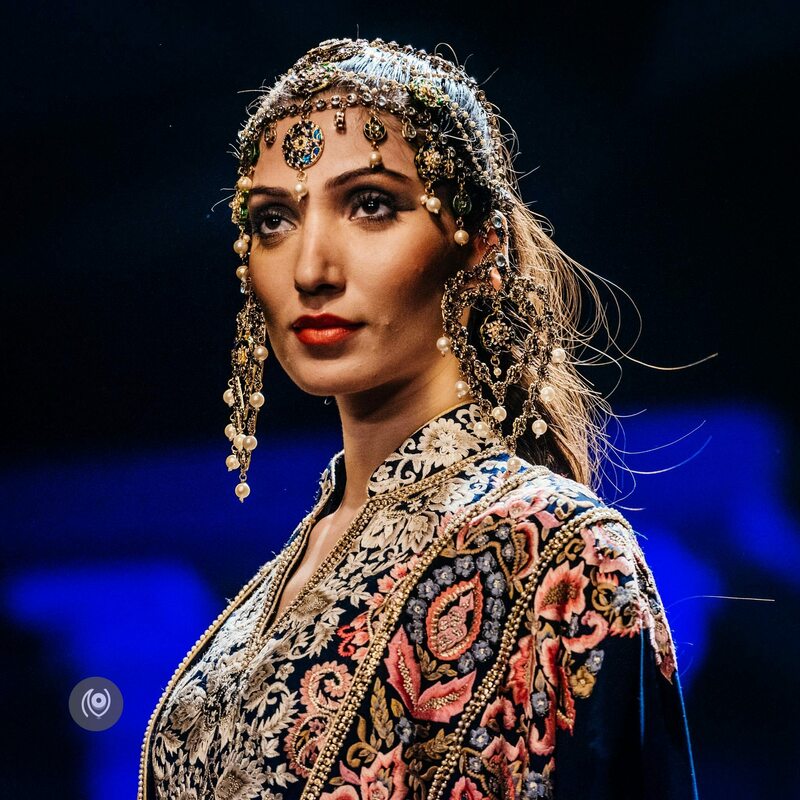 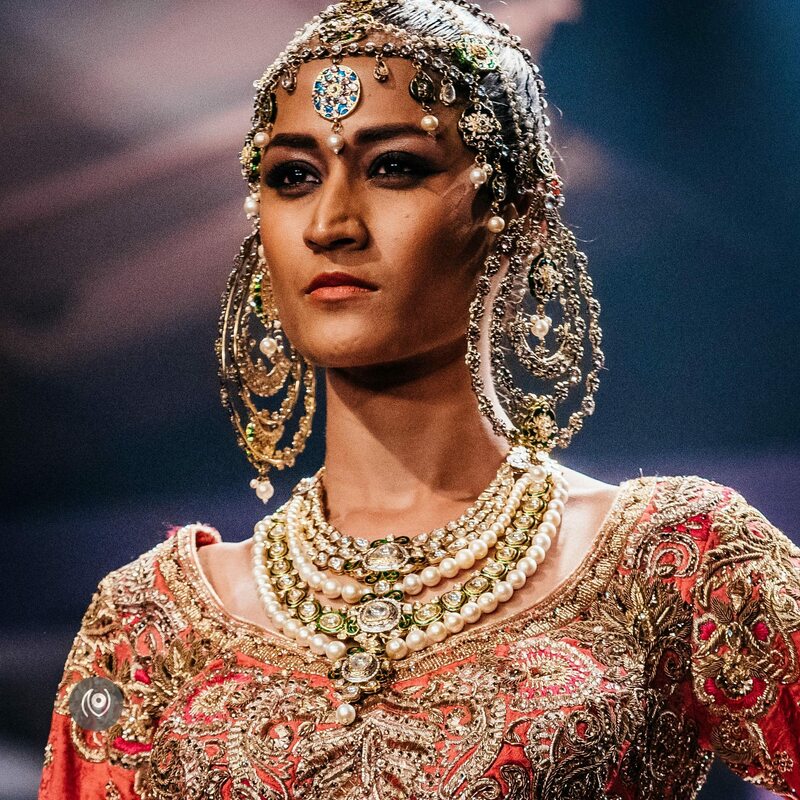 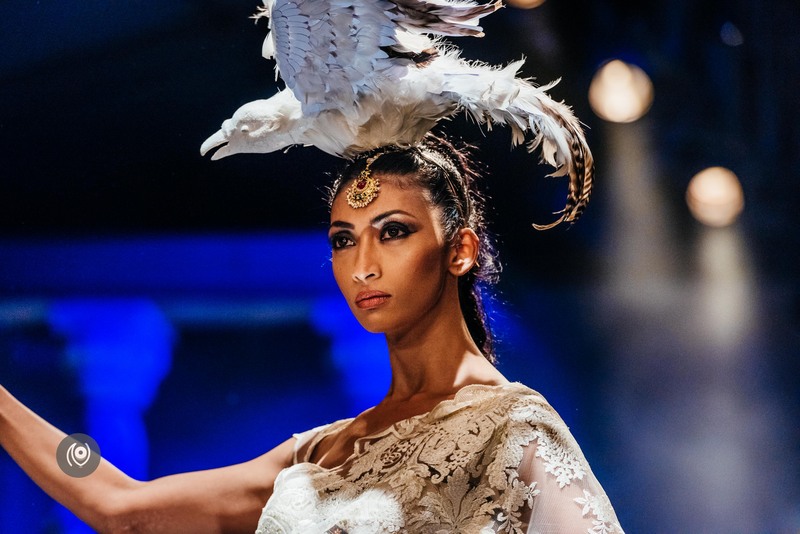 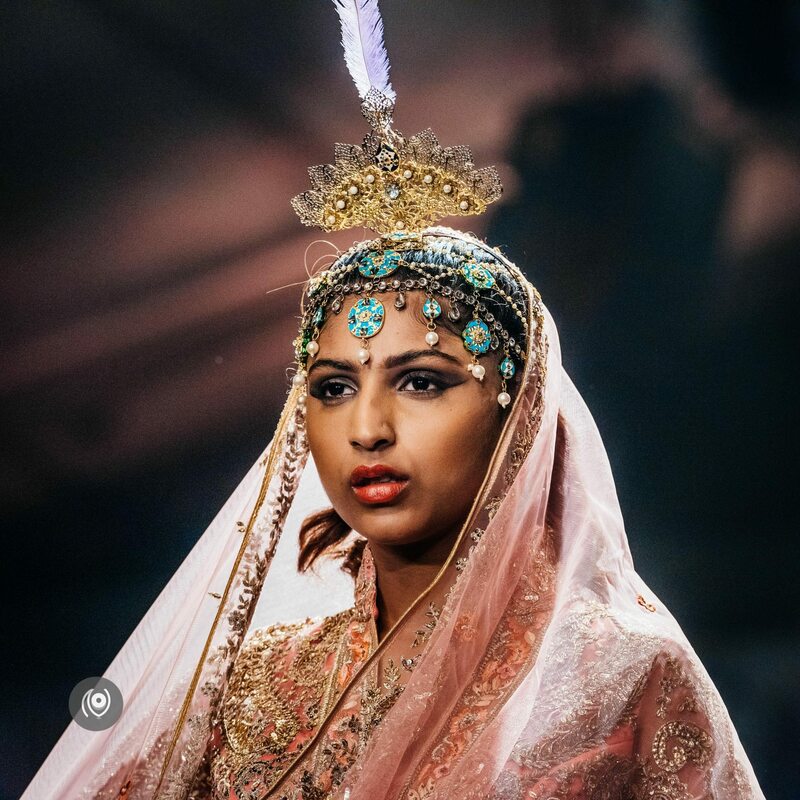 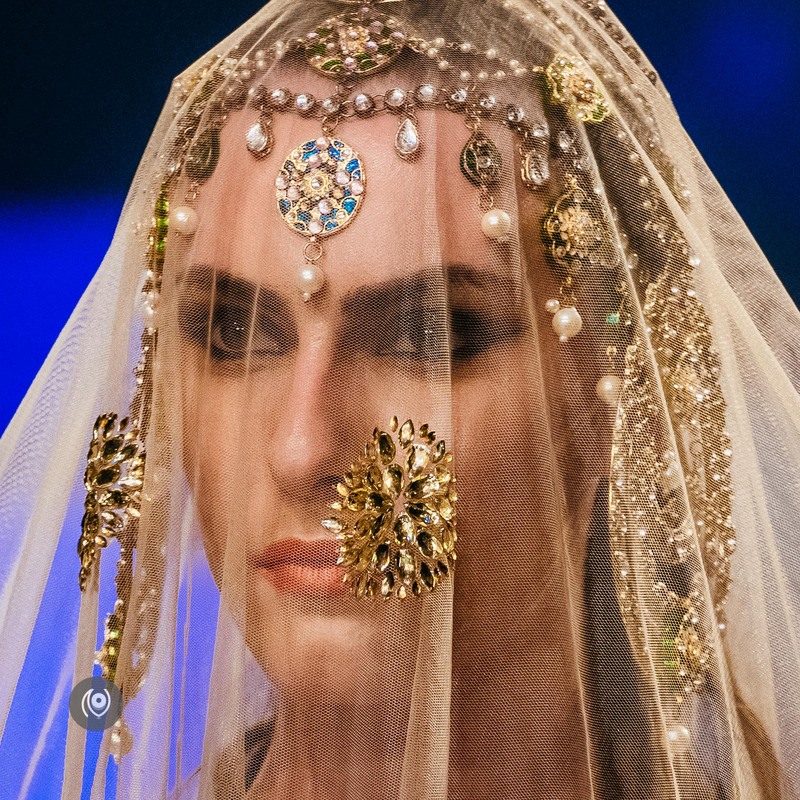 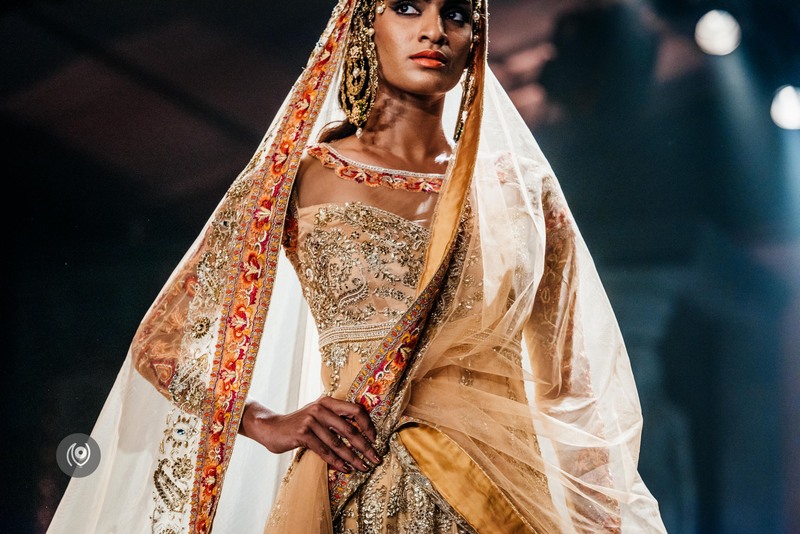 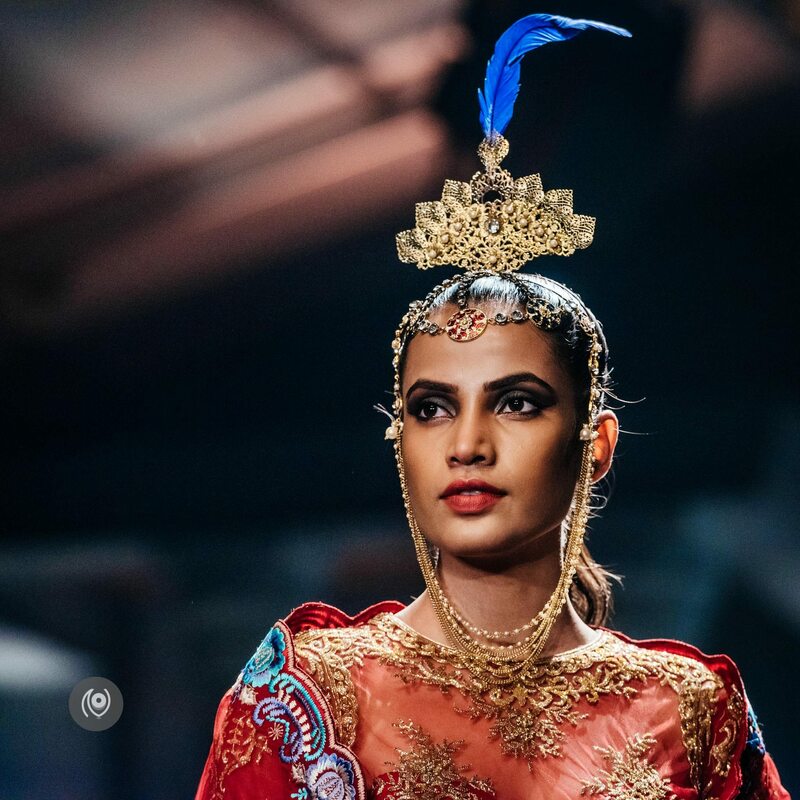 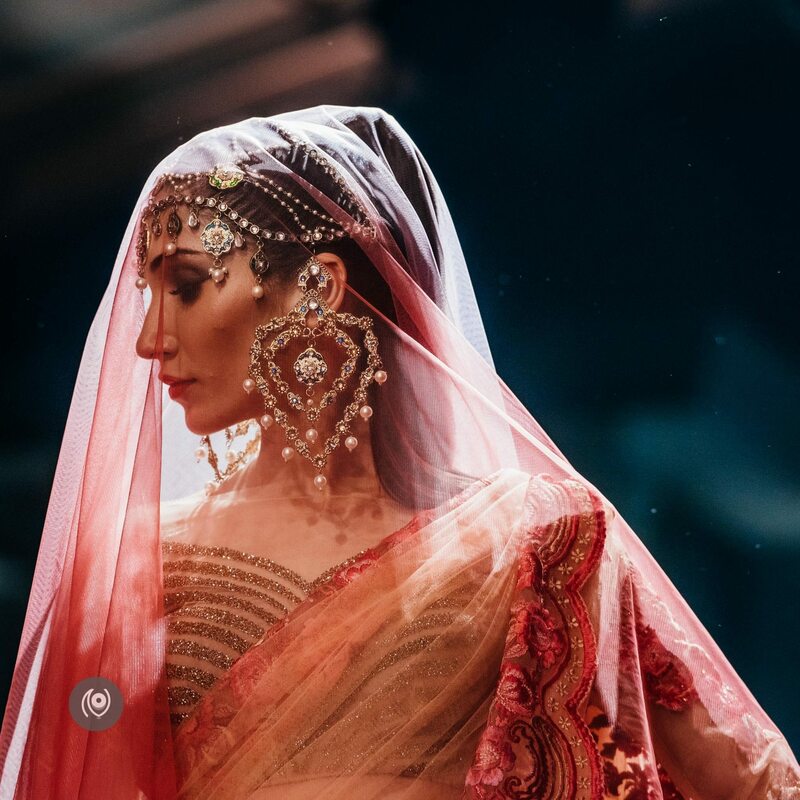 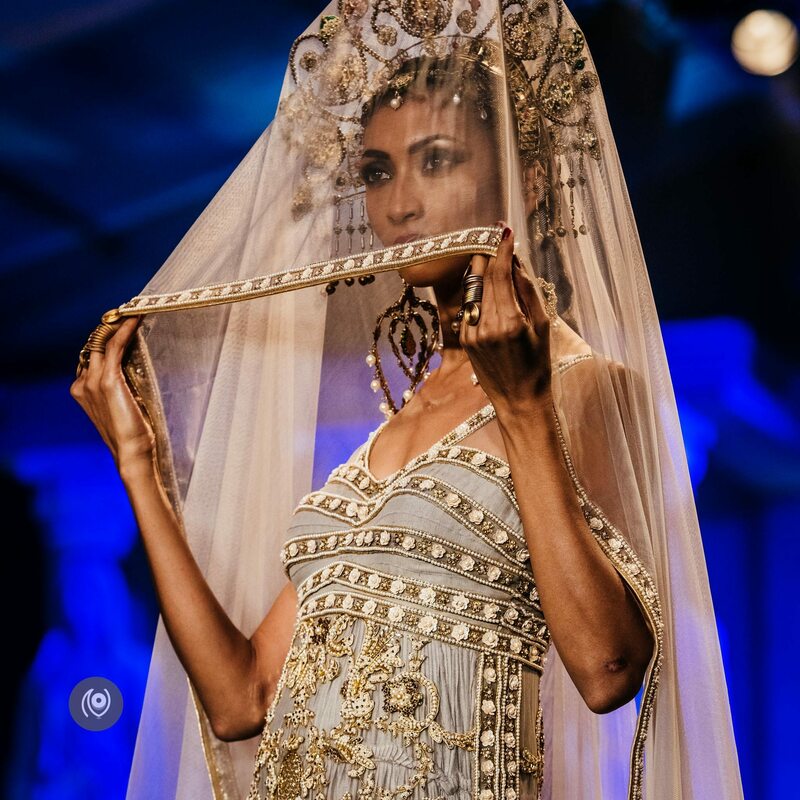 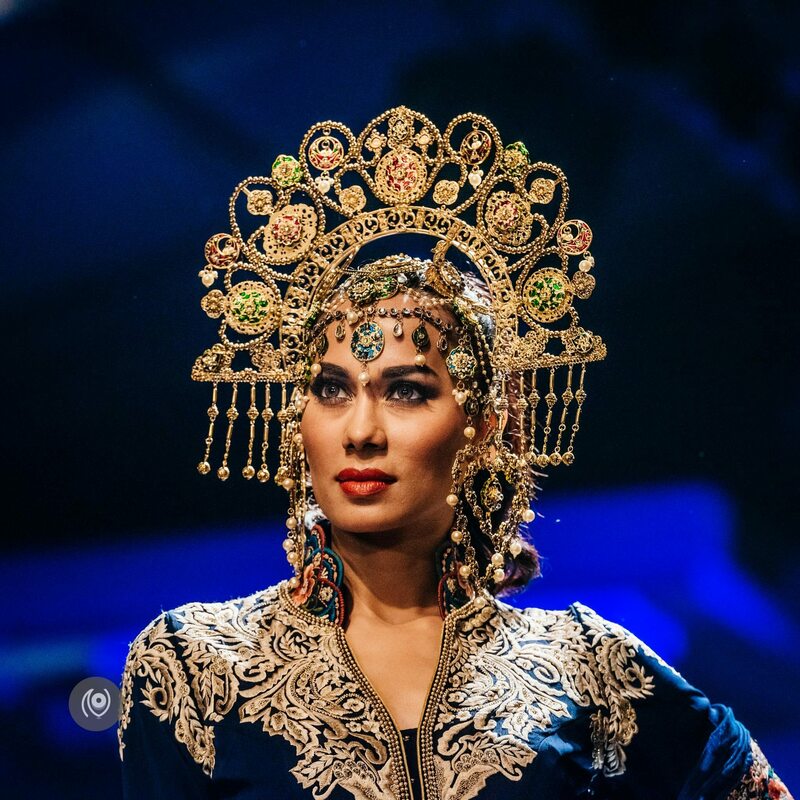 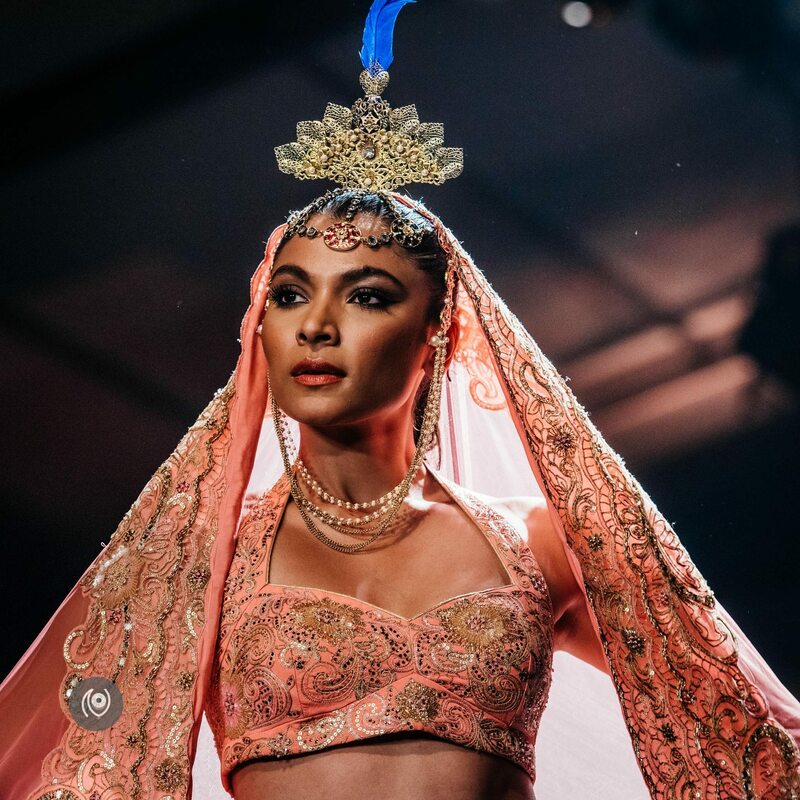 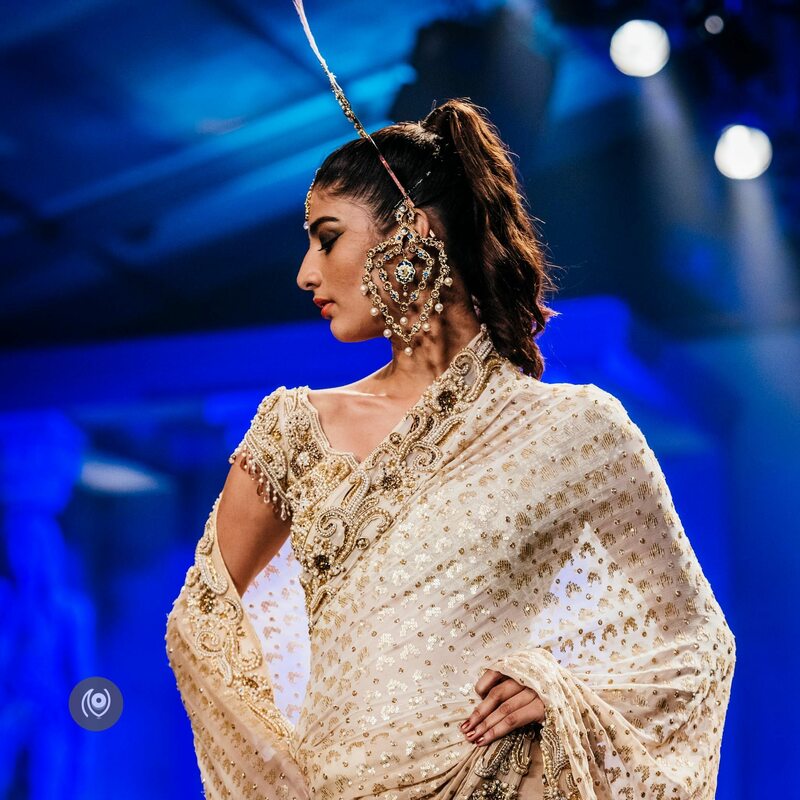 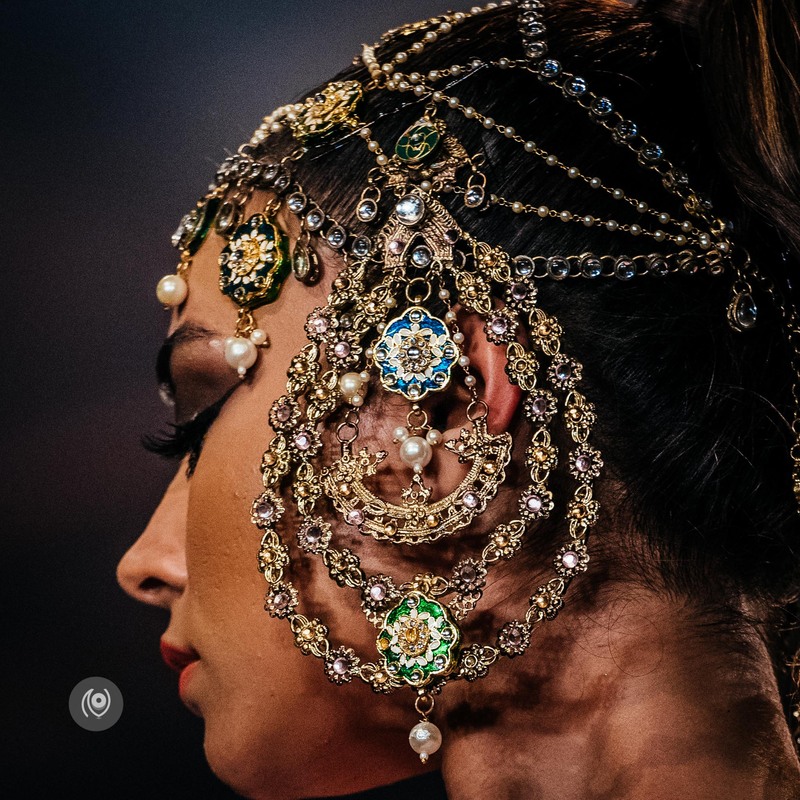 Head dresses in beaten metal in antique shades of gold, ornate pieces of Meenakari jewelry and Swarovski crystals add drama to the presentation.